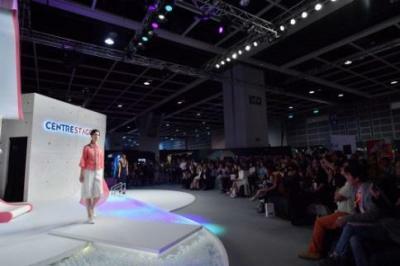 Asia’s Premier Fashion Event CENTRESTAGE Concludes Fashion brand-promotion and launch platform CENTRESTAGE 2017, organised by the Hong Kong Trade Development Council (HKTDC), concluded successfully after featuring more than 210 fashion brands from 22 countries and regions. 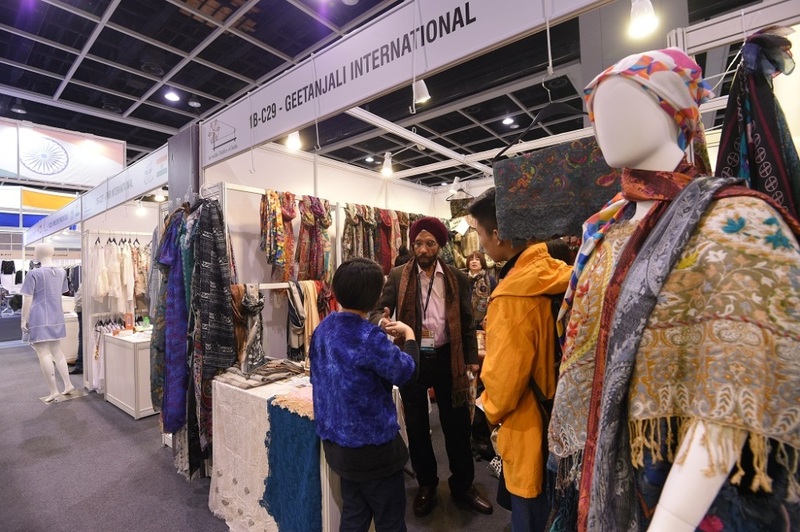 The four-day international fashion event showcased the latest brands and designer collections, attracting 8,500 buyers from 73 countries and regions, up 2.6 percent over the previous year. 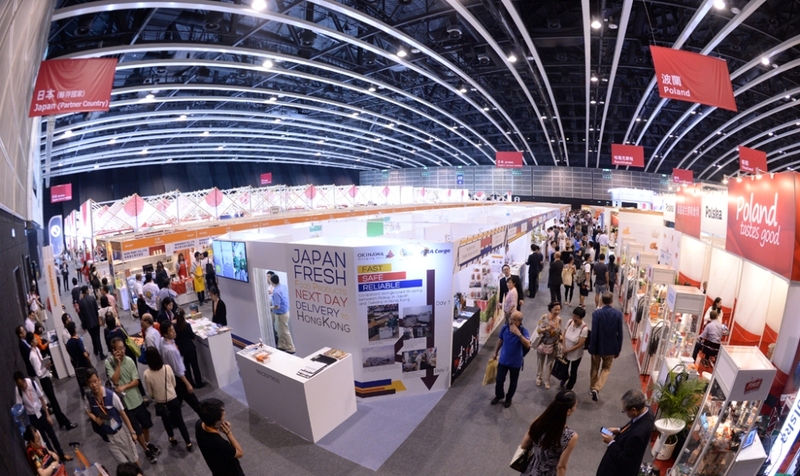 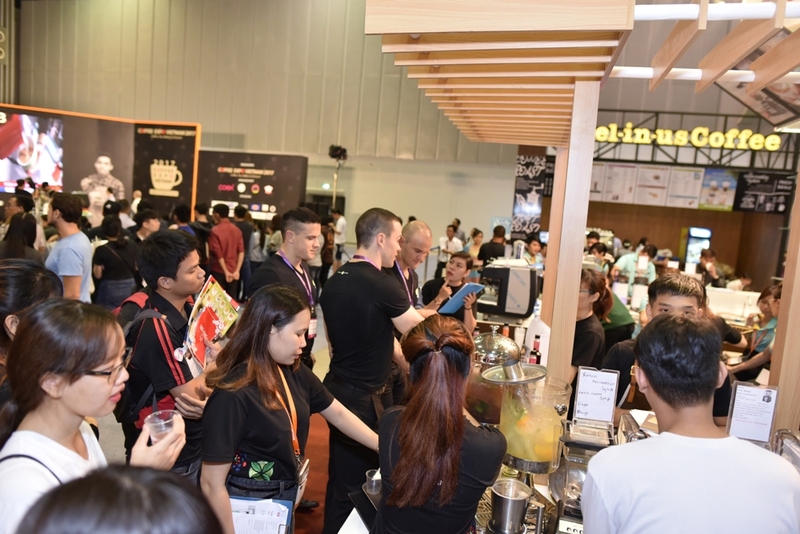 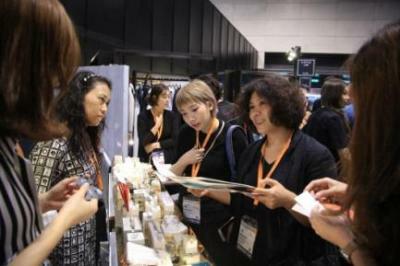 Buyers from Thailand, Vietnam, Japan, Singapore and Indonesia increased significantly; and Asian buyers accounted for nearly 40 per cent of the total buyer attendance. 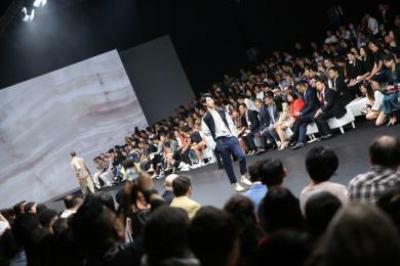 CENTRESTAGE is an ideal promotion and launch platform for Asian fashion brands and designers. 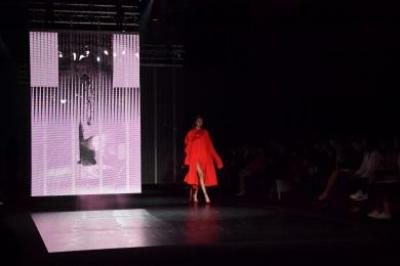 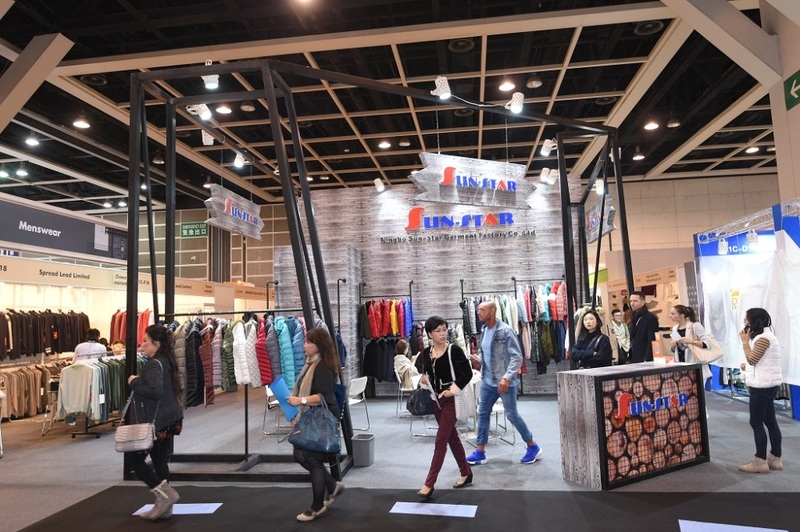 CENTRESTAGE continued to be a focus of attention for Asia’s fashion industry. 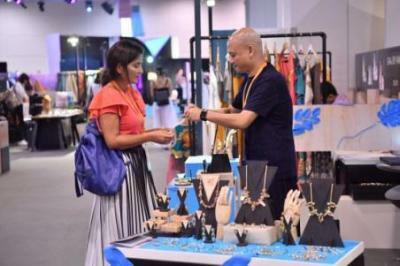 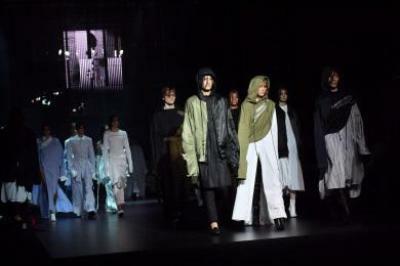 The event attracted many international fashion brands and buyers, particularly those keen on developing Asian markets. 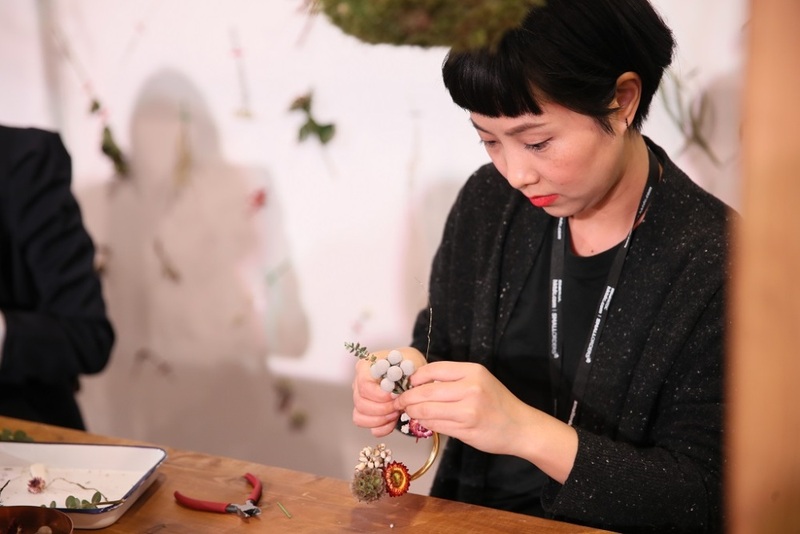 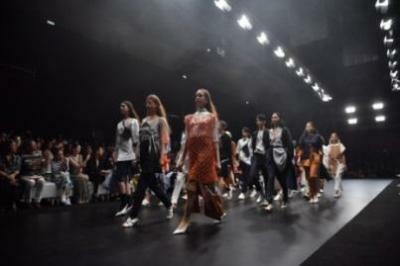 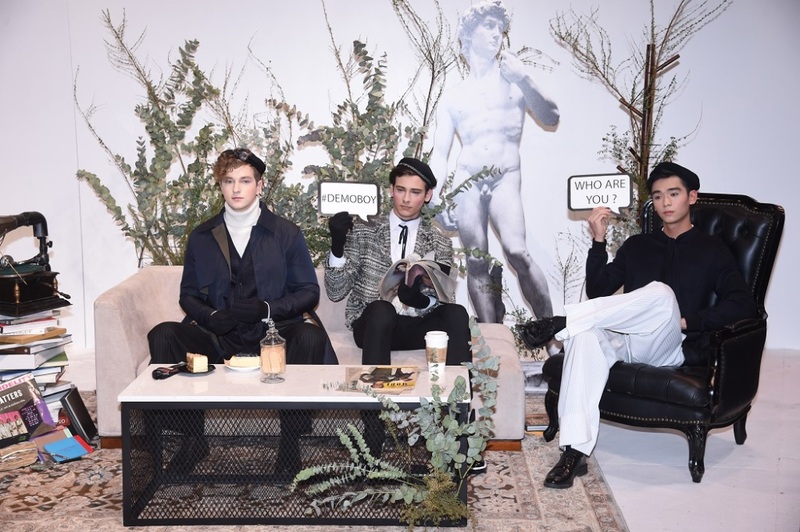 Many up-and-coming local designers also staged fashion shows during the event to showcase Hong Kong’s creative designs to buyers and media from around the world. 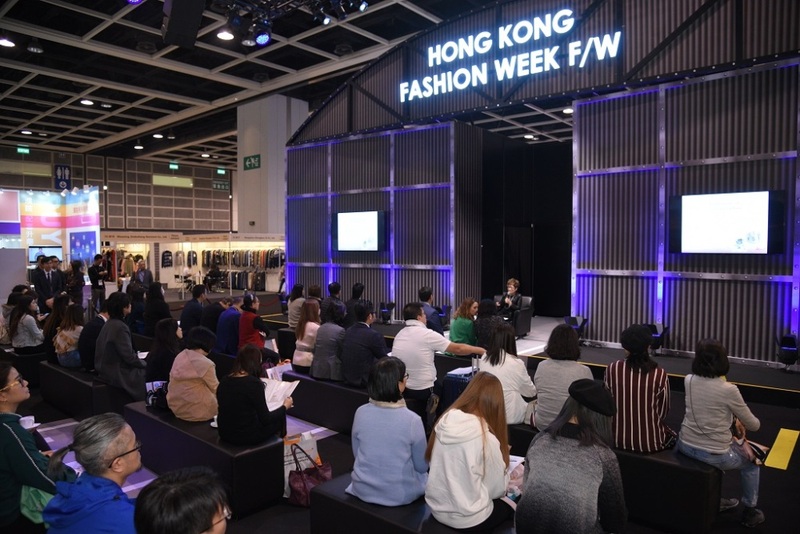 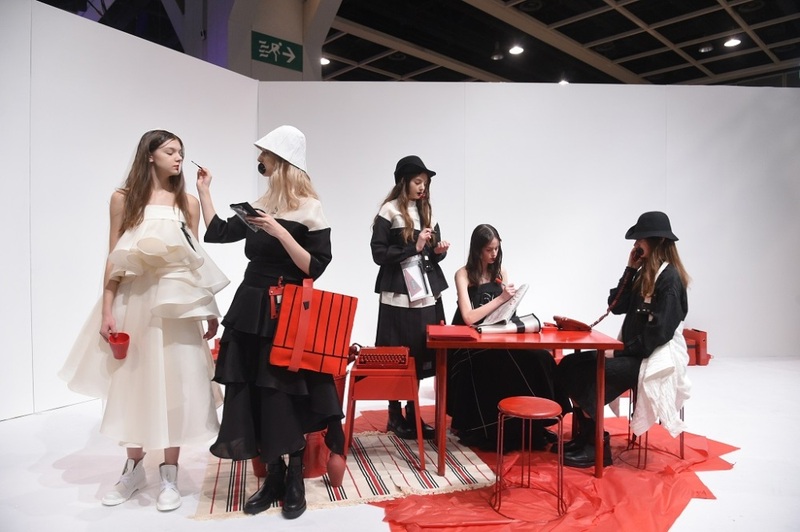 As is the goal of many events organised during the show period, CENTRESTAGE also facilitated industry exchange, reaffirming Hong Kong’s position as Asia’s fashion capital. 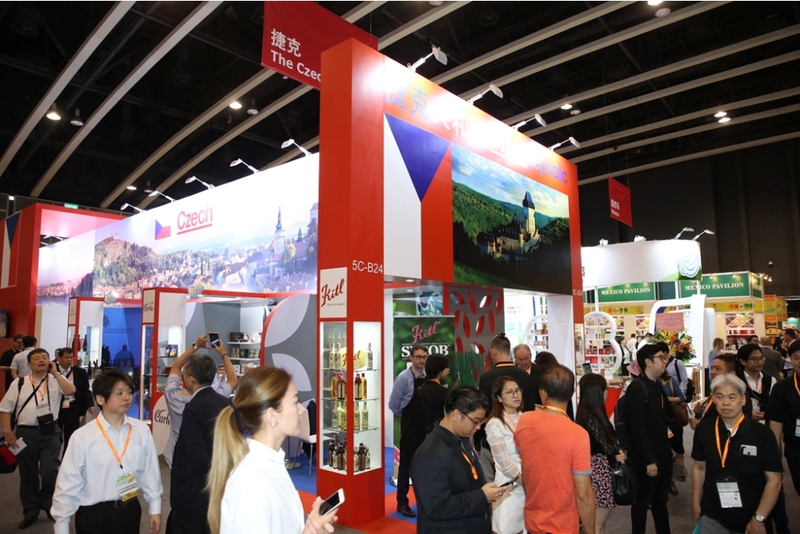 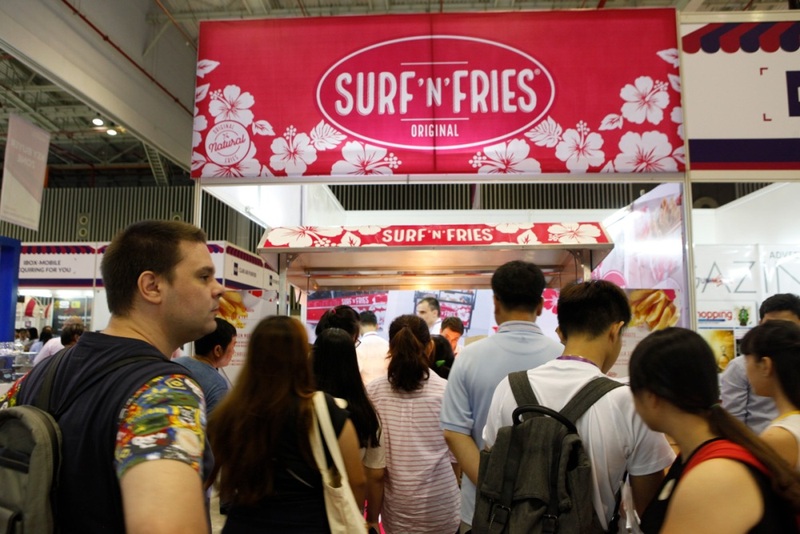 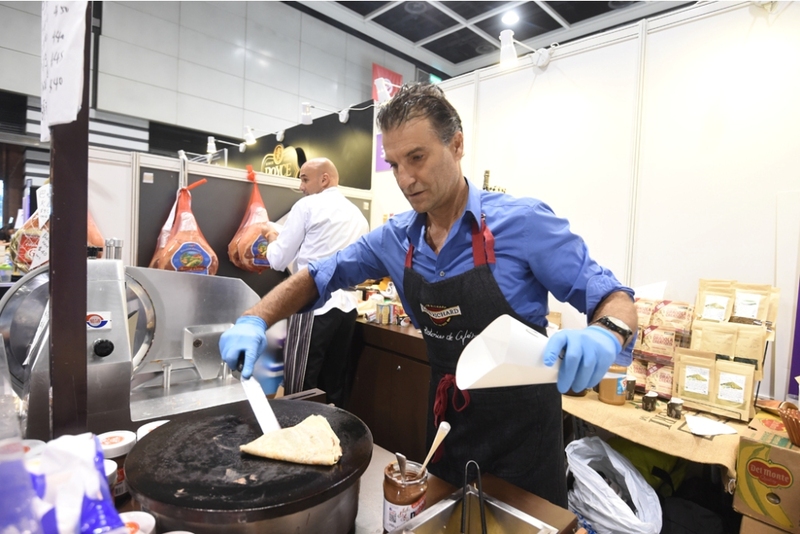 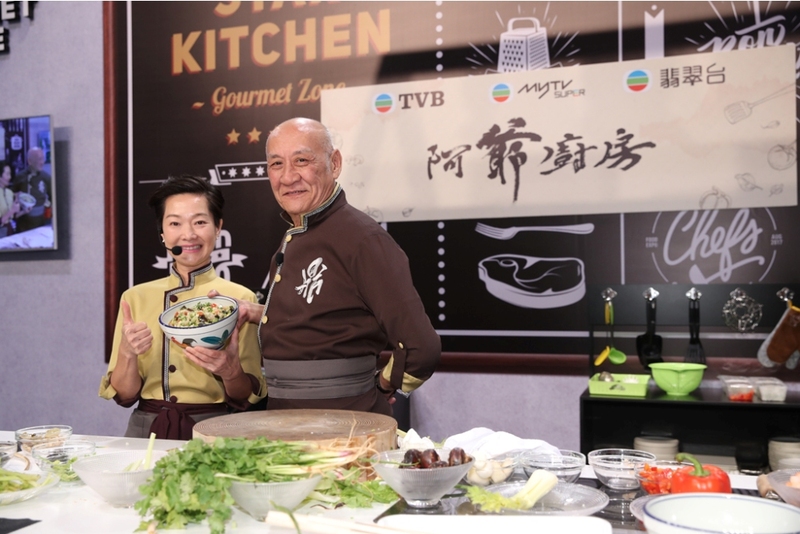 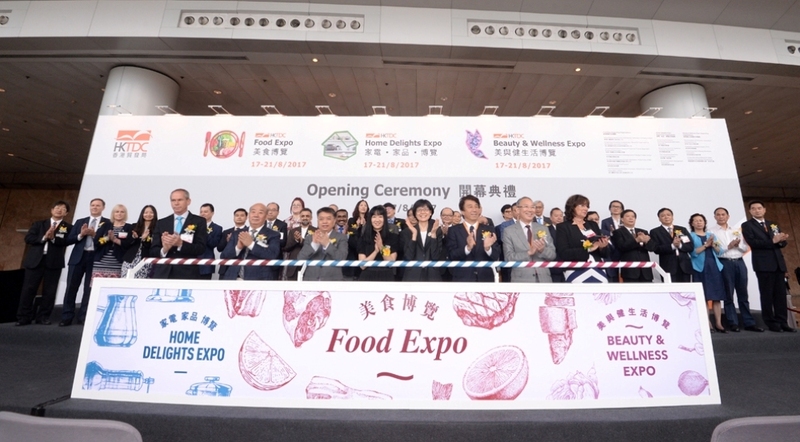 Hong Kong Food Expo 2018 Serving international and local delicacies. 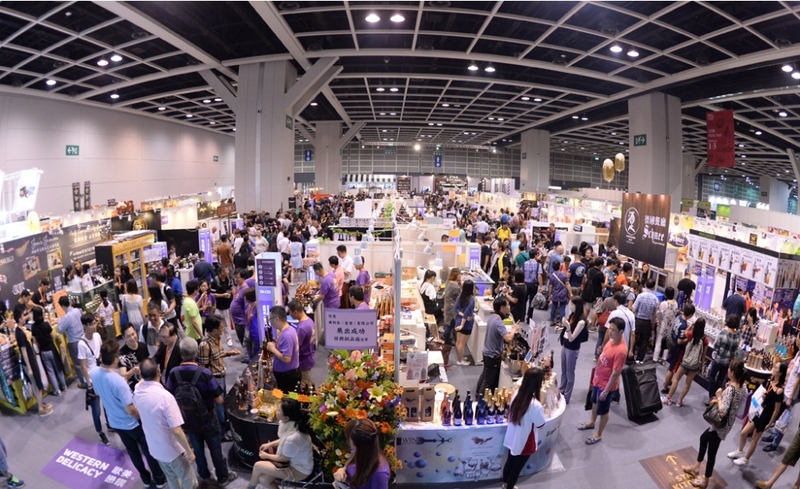 Entering its 2017 edition, the Food Expo comprises three sections including Trade Hall, Gourmet Zone and Public Hall. 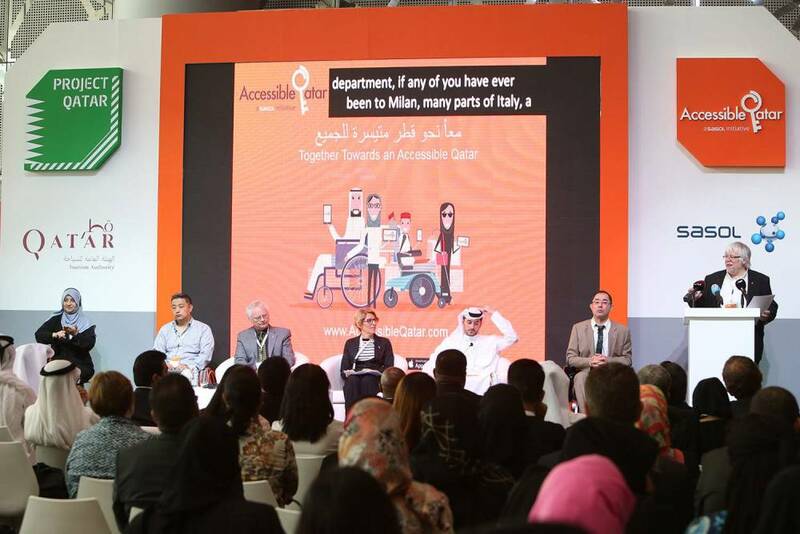 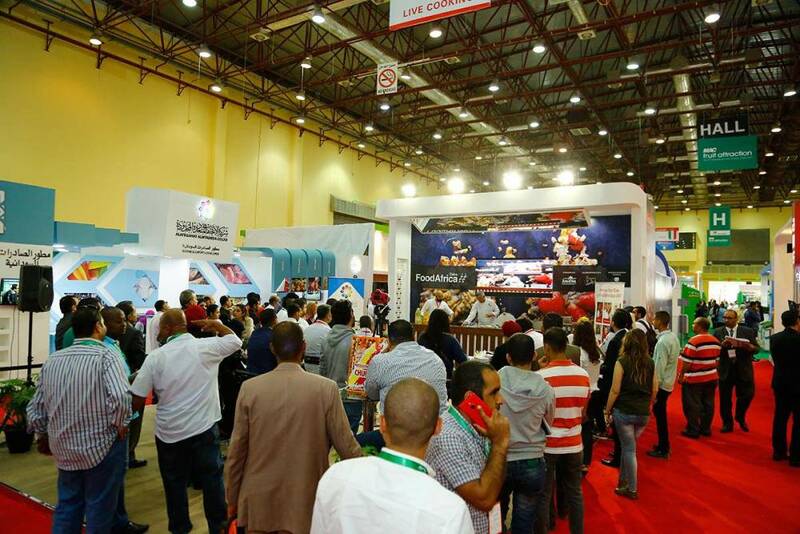 It is expected to attract around 1,400 exhibitors from over 25 countries and regions. 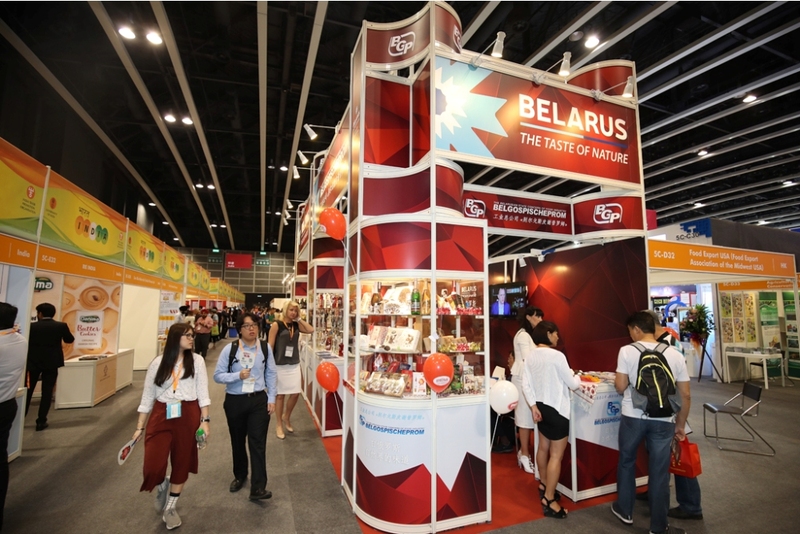 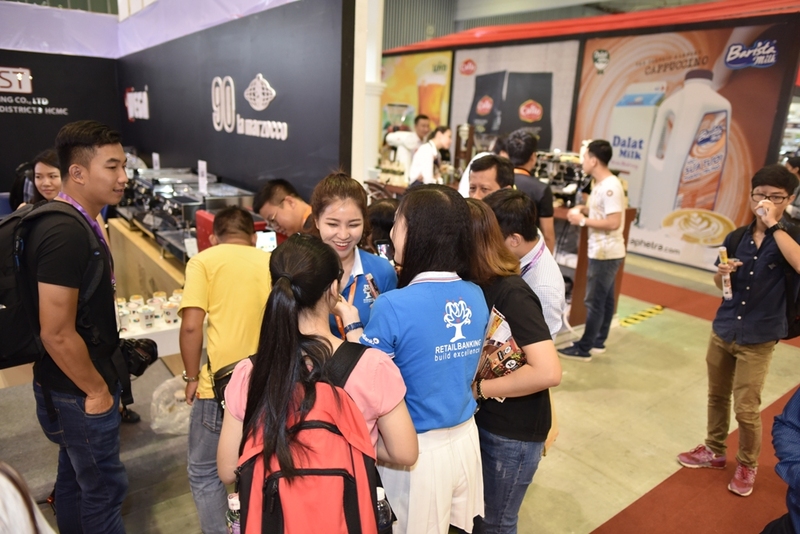 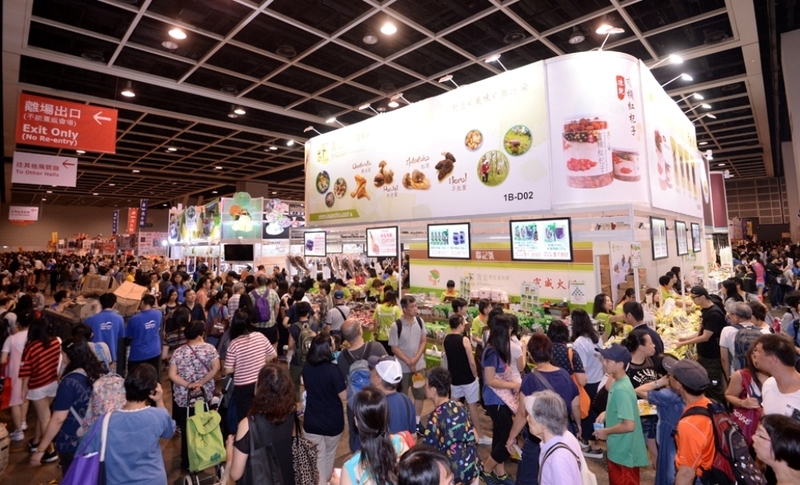 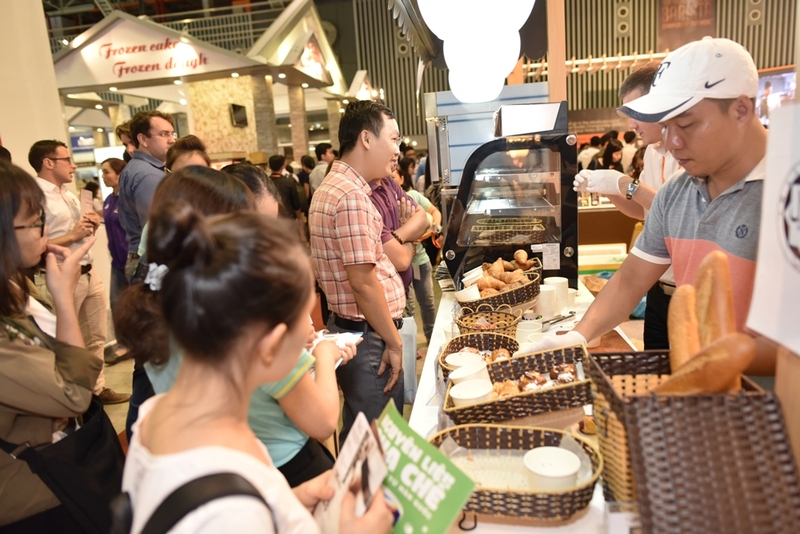 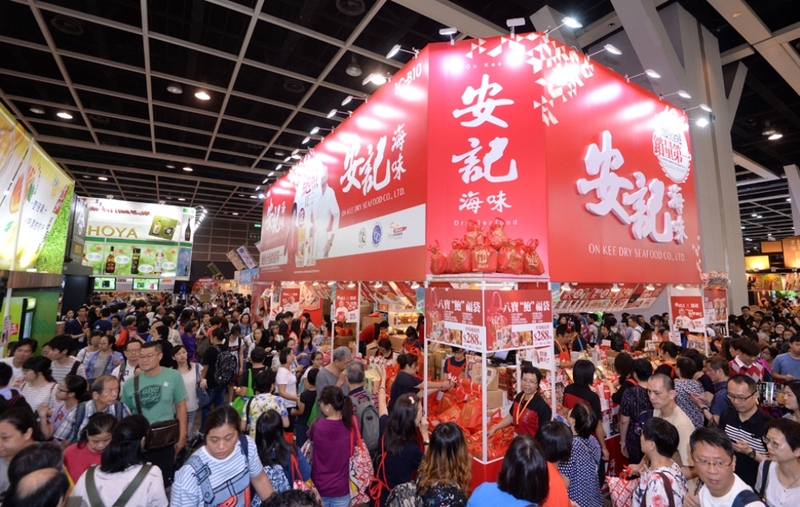 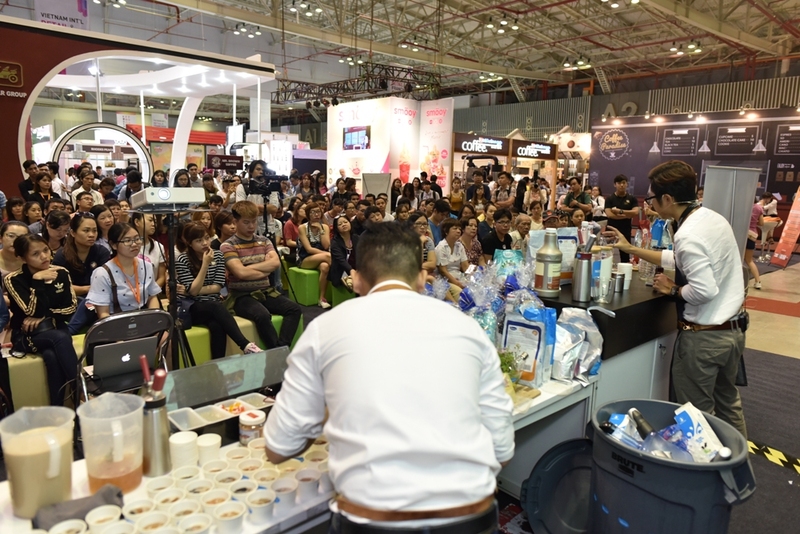 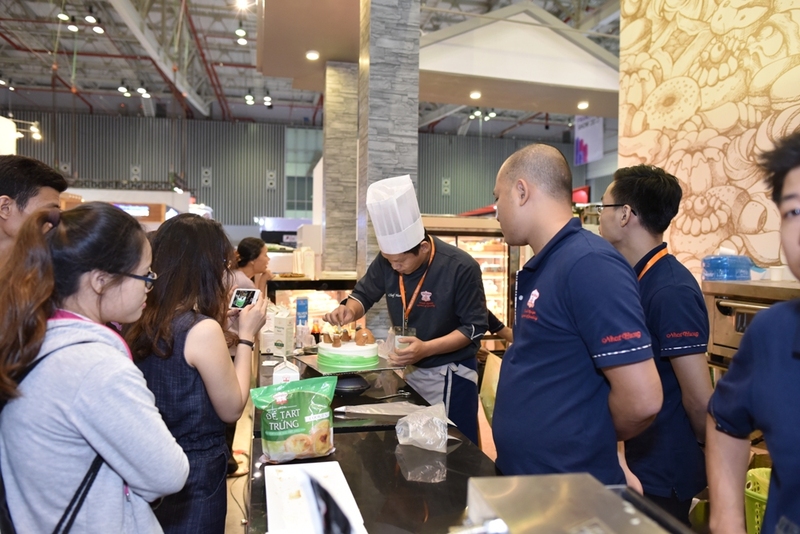 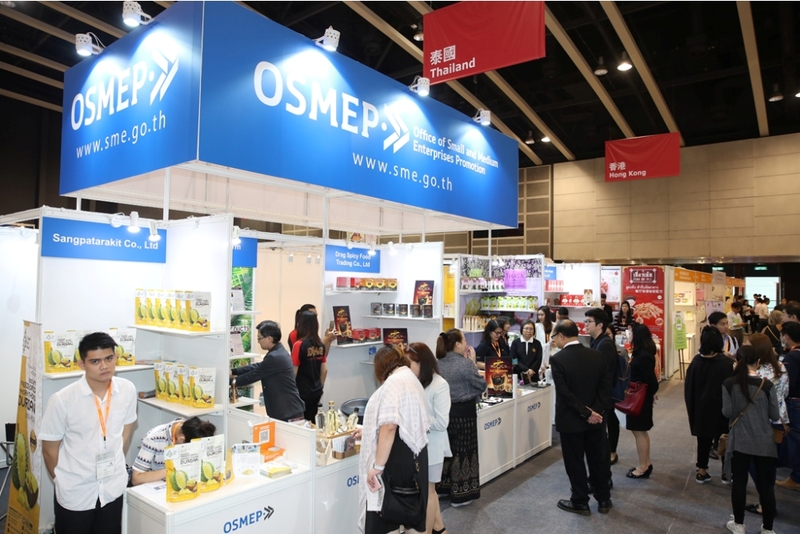 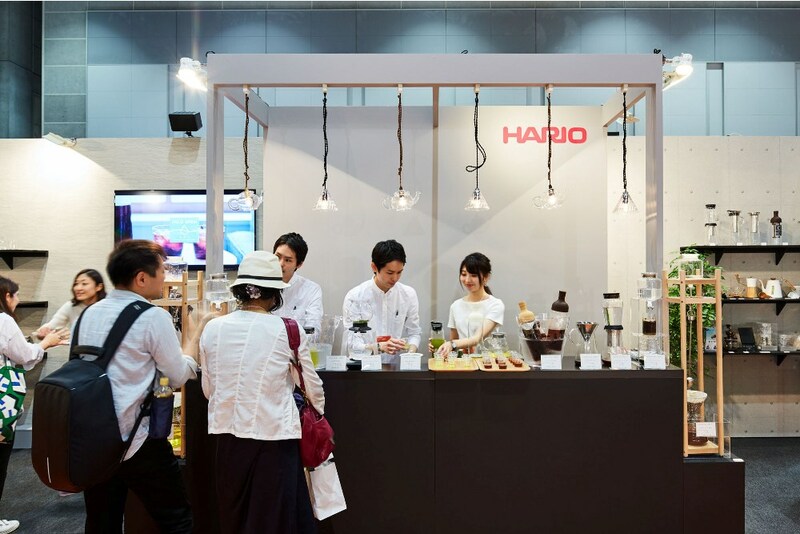 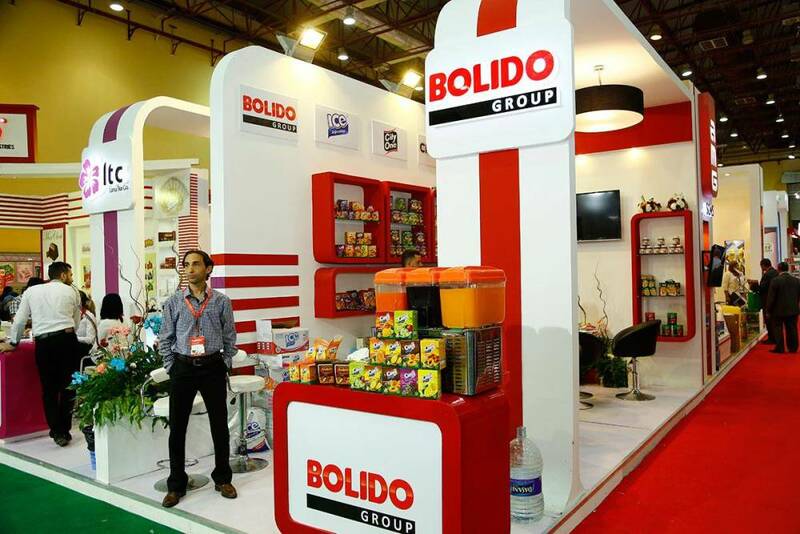 Last year, more than 490,000 public visitors attended the Food Expo and the concurrent Home Delights Expo and Beauty & Wellness Expo, while the Food Expo’s Trade Hall attracted nearly 21,000 trade buyers. 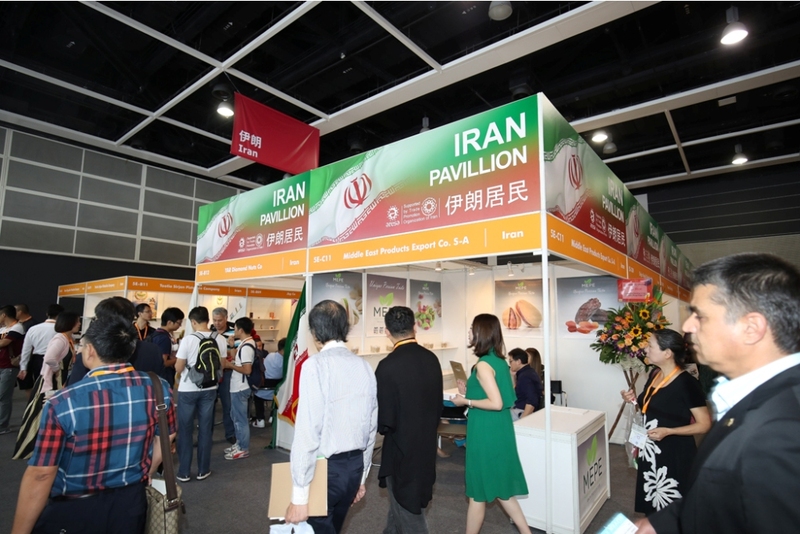 Trade Hall featured international pavilions including the Chinese mainland, Iran, Japan, Korea, Poland, Ukraine and the USA, as well as new pavilions from Canada, Czech Republic, India and Thailand. 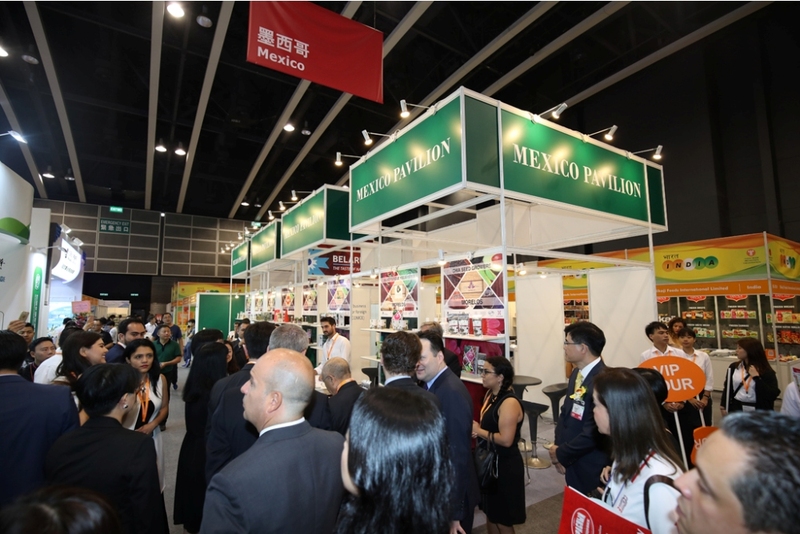 There are also various themed product zones including the Halal Food zone, the Chinese Medicine zone, as well as the Food and Agricultural Technology zone. 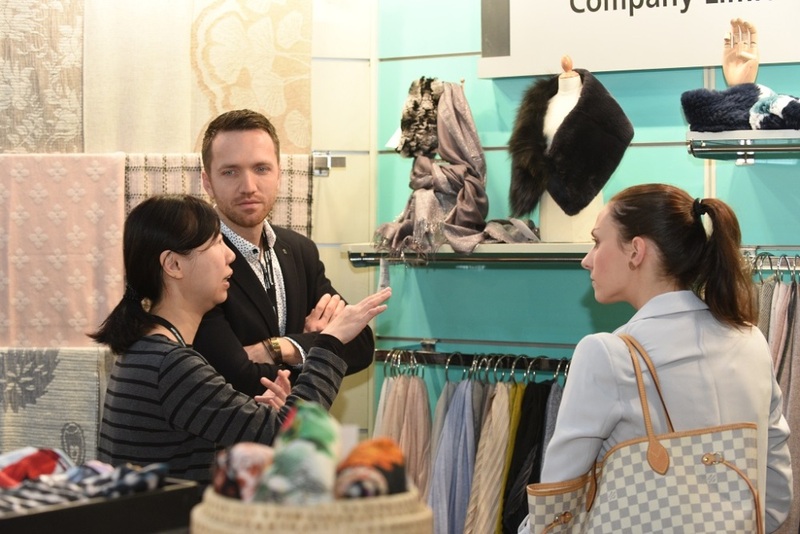 The Trade Hall is dedicated to professional trade buyers on the first two days to explore business opportunities and establish partnerships with exhibitors, and will open to public visitors with ticket admission on the last day. 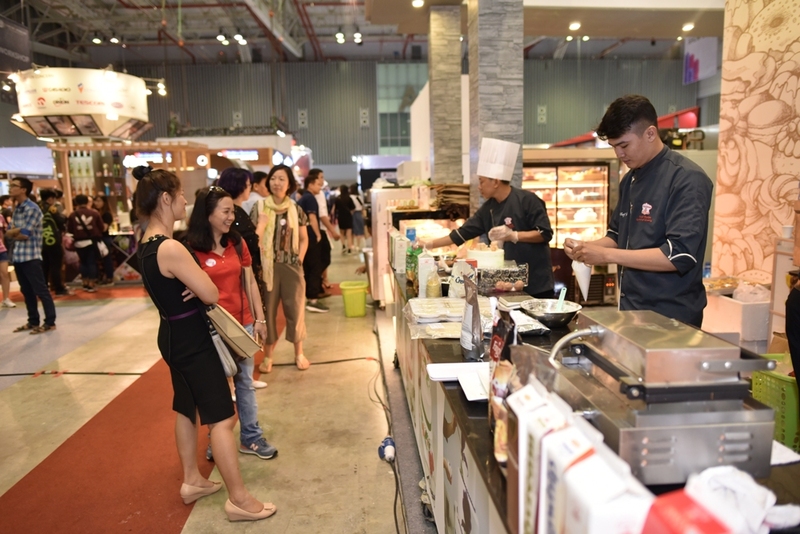 Gourmet Zone targeted at public visitors craving for high-end delicacies, gathering over 70 exhibitors under the themes of Asian Cuisine, Sweet Delight, Western Delicacy as well as Green Palate. 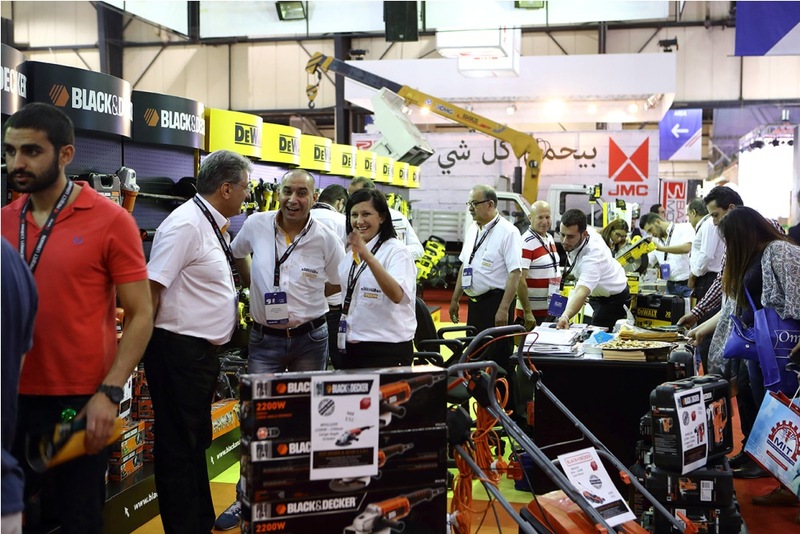 Project Lebanon 2018 Lebanon’s position as one of the busiest hubs for trade and re-export is not limited to its geographic location. 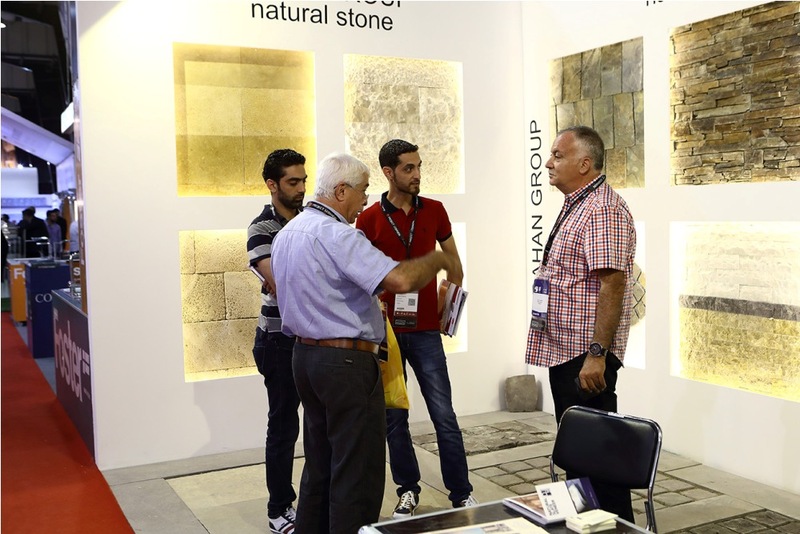 The Lebanese diaspora of traders and savvy business people is arguably one of the most internationally widespread and successful diasporas, especially within the construction industry. 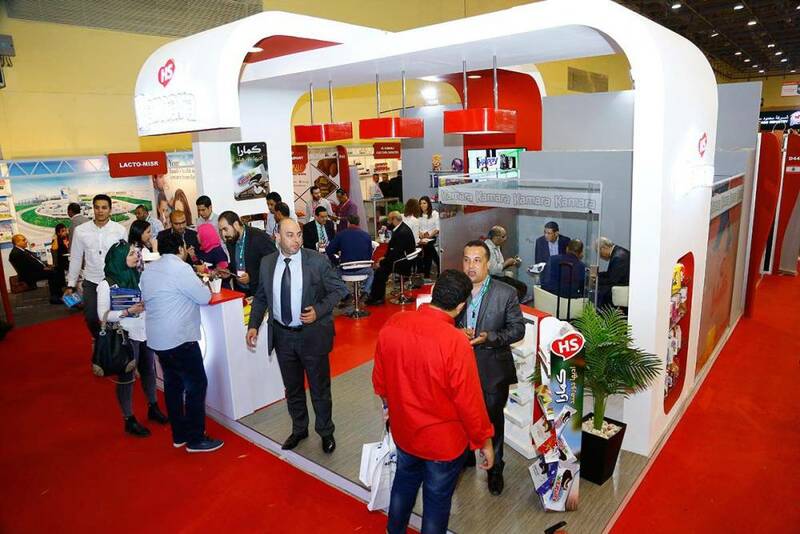 The majority of Lebanese expatriates maintain commercial, economic, and investment relations with their native country, especially the communities in Africa, the Gulf States, and Europe. 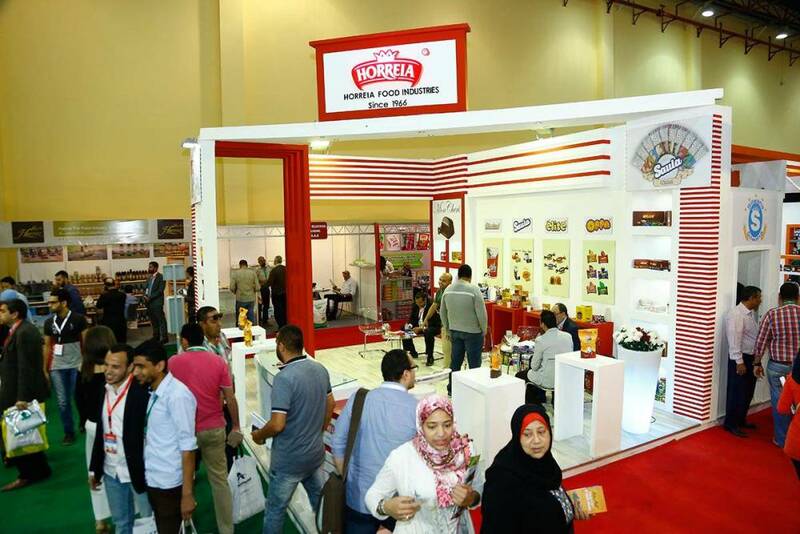 Hence, the penetration of the Lebanese market expands beyond the Middle East, securing Lebanon’s international network. 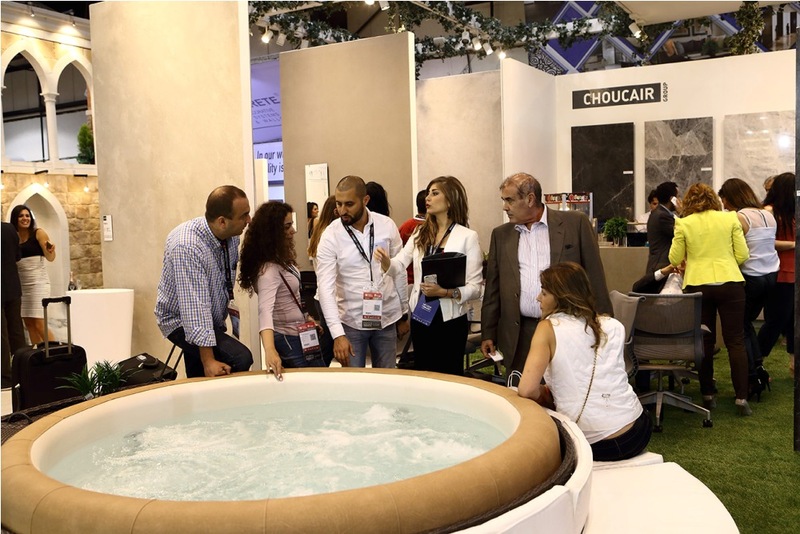 As such, products and services introduced through Project Lebanon are re-exported worldwide. 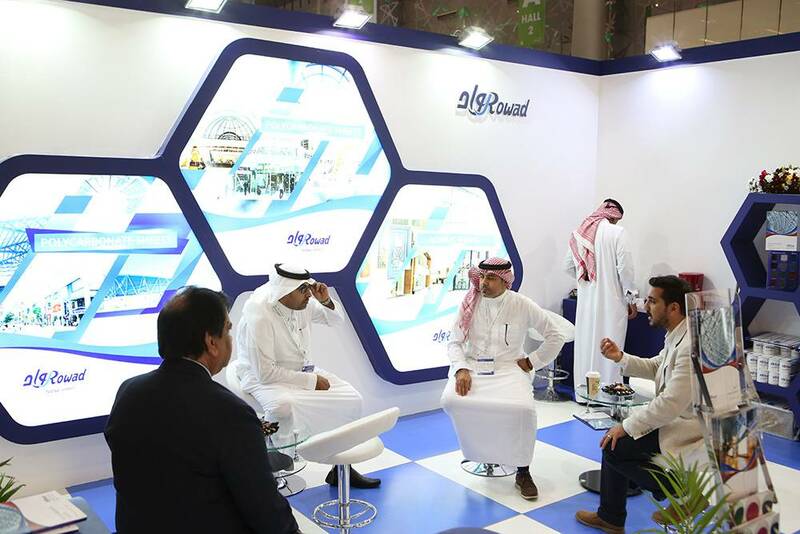 A Regional Business Platform with an International Reach. 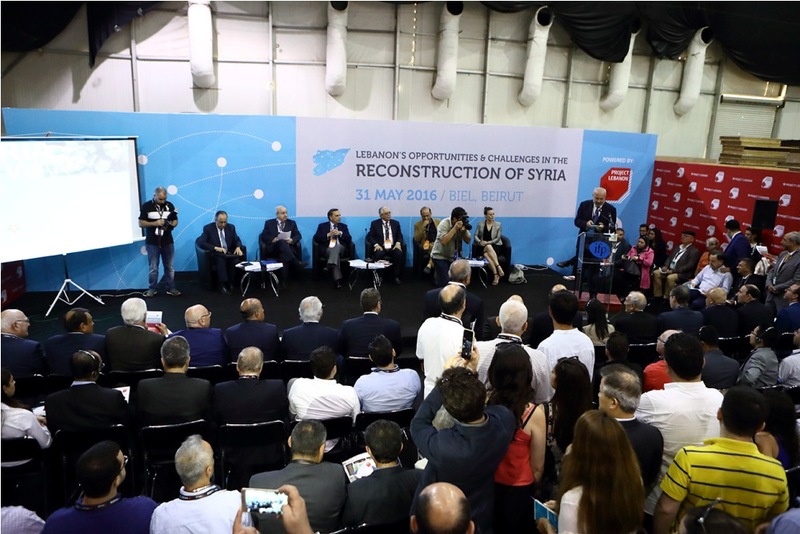 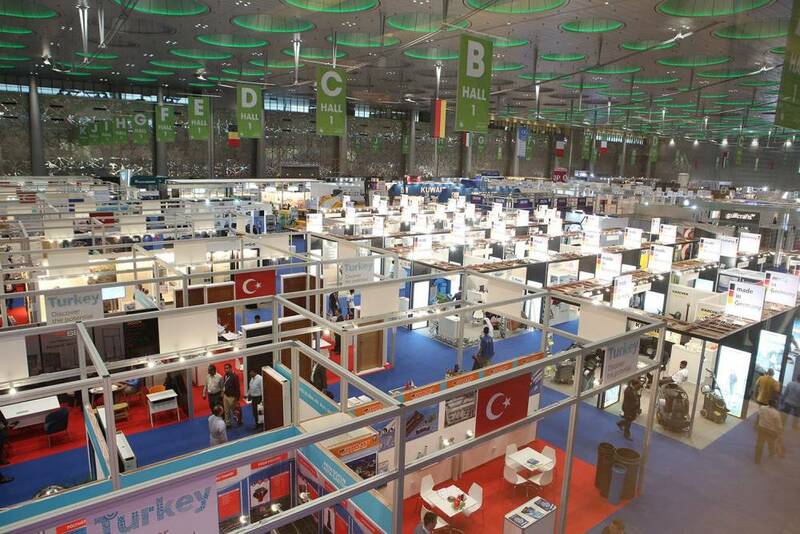 Project Lebanon, the country’s only international trade exhibition, returns for its 23rd edition at Seaside Arena (Previously known as BIEL), as a full-fledged business platform for local and international industry professionals to: @ GGTap into key opportunities in Lebanon, the Levant, and beyond. 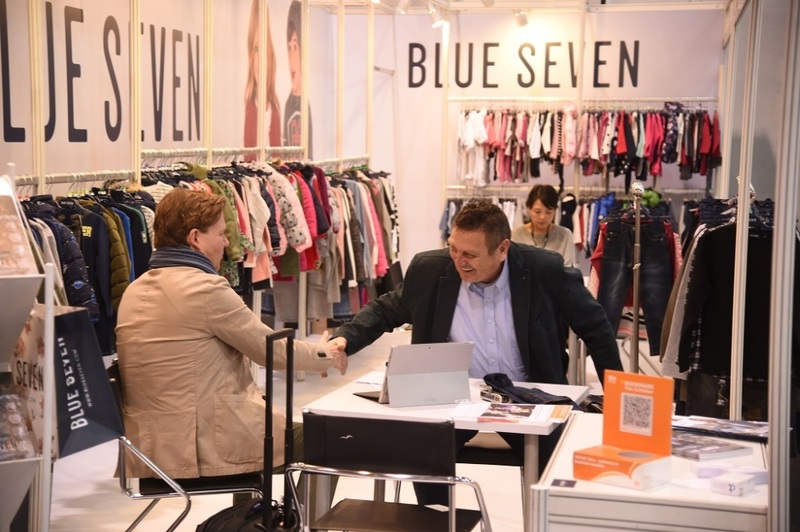 @ GGEstablish new valuable contacts. 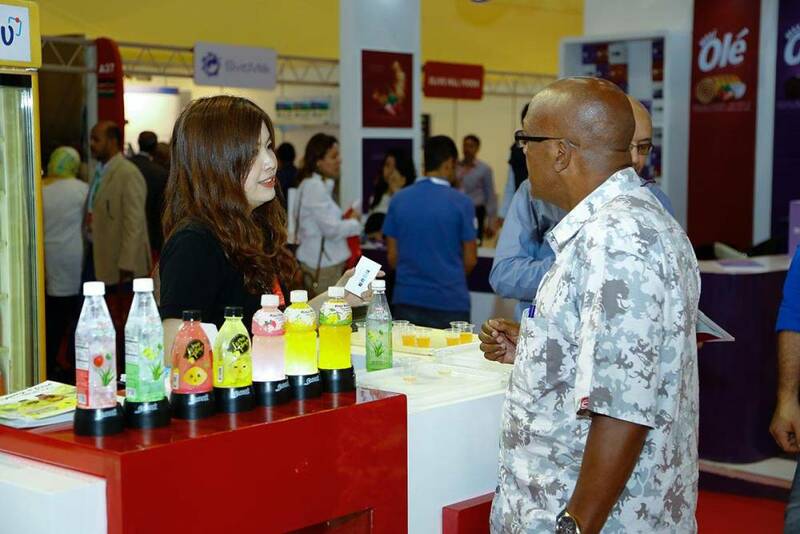 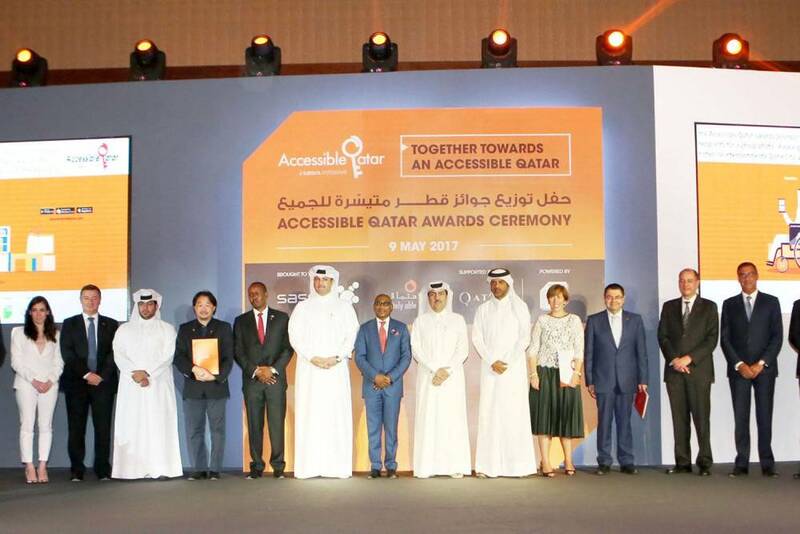 @ GGRenew existing partnerships. 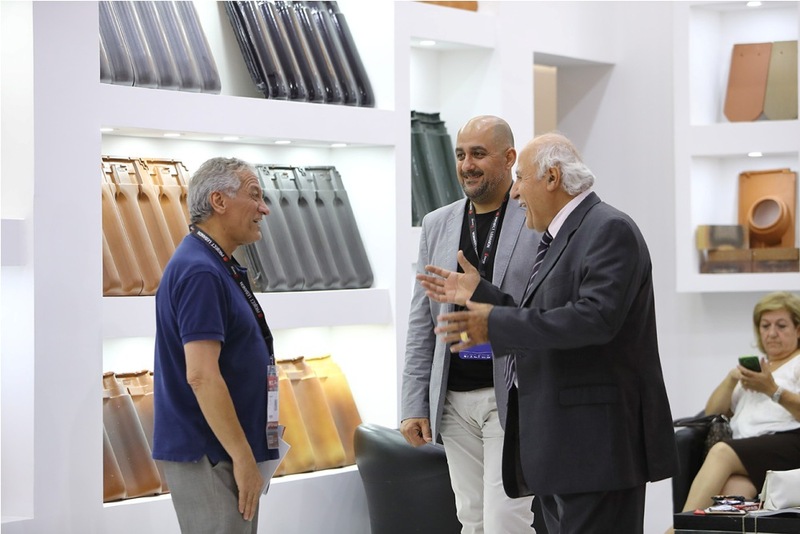 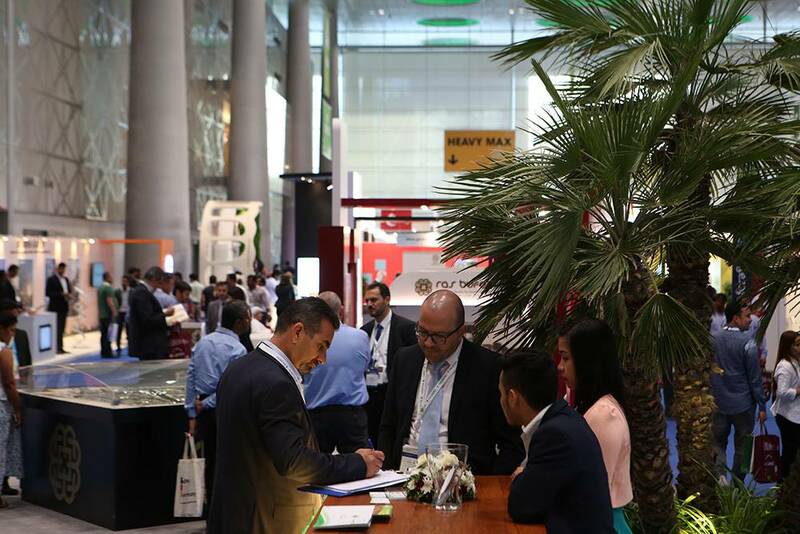 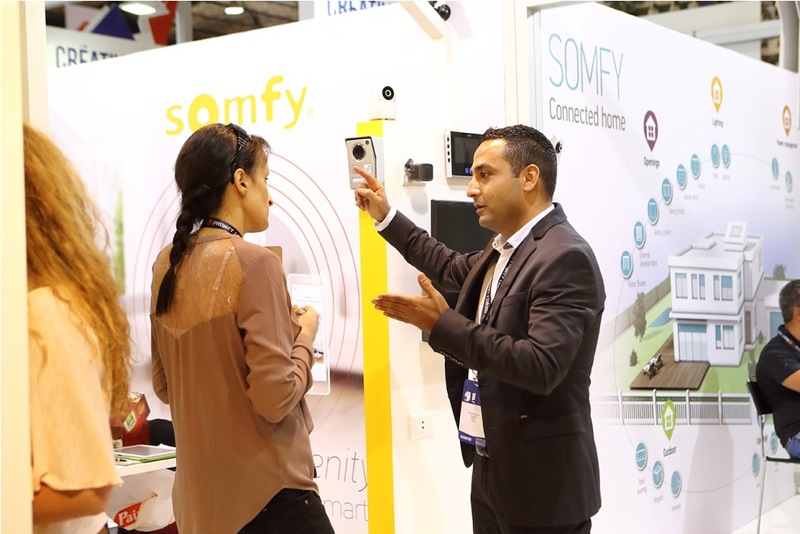 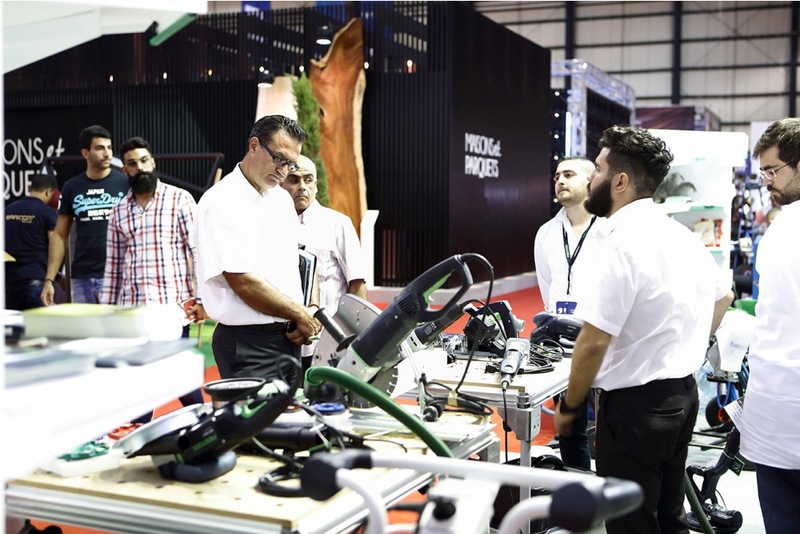 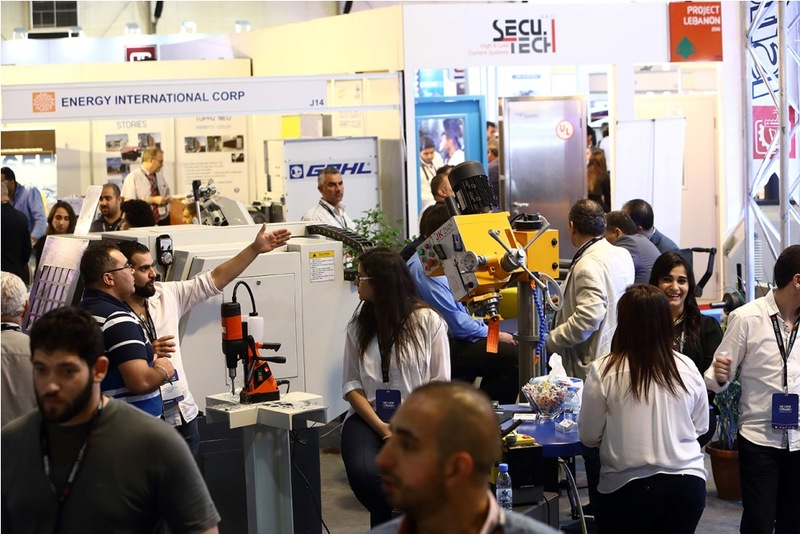 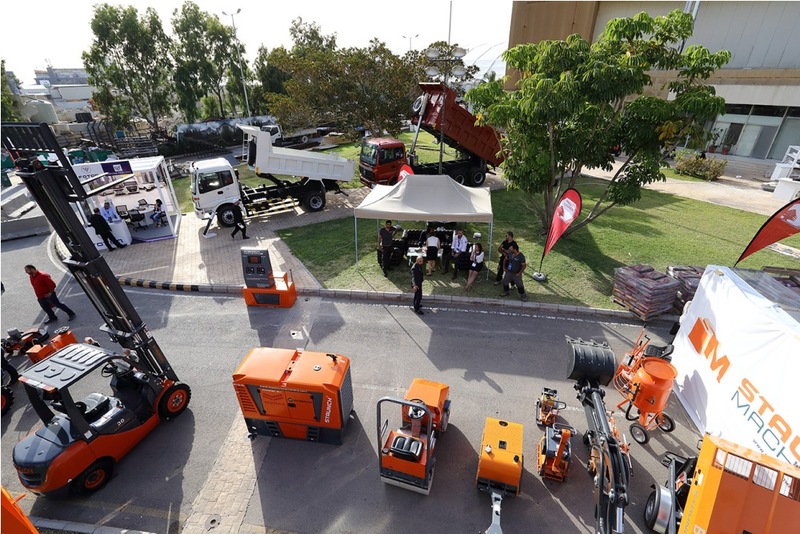 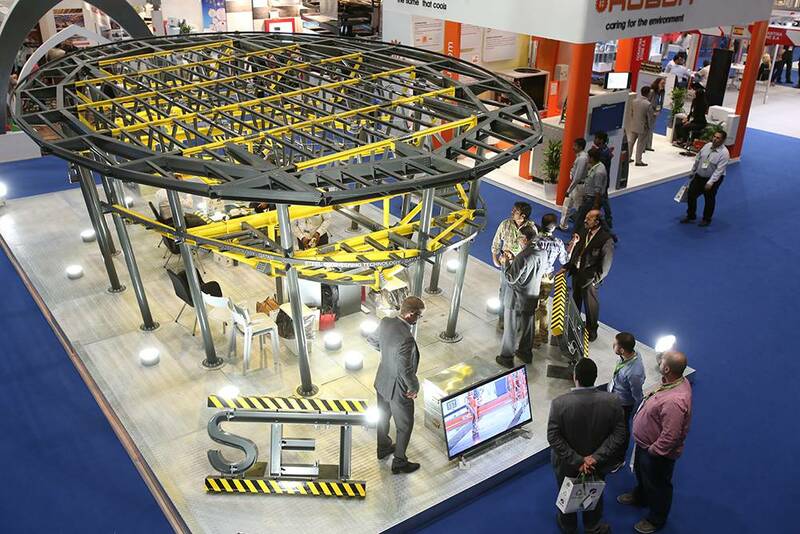 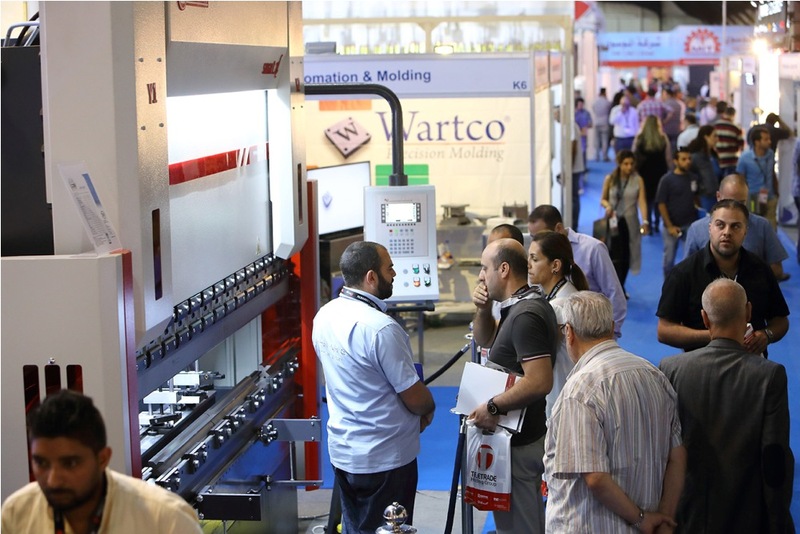 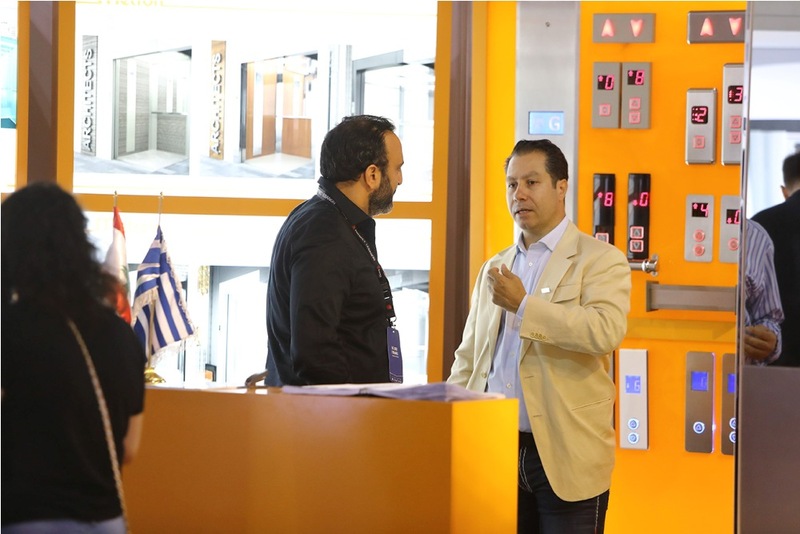 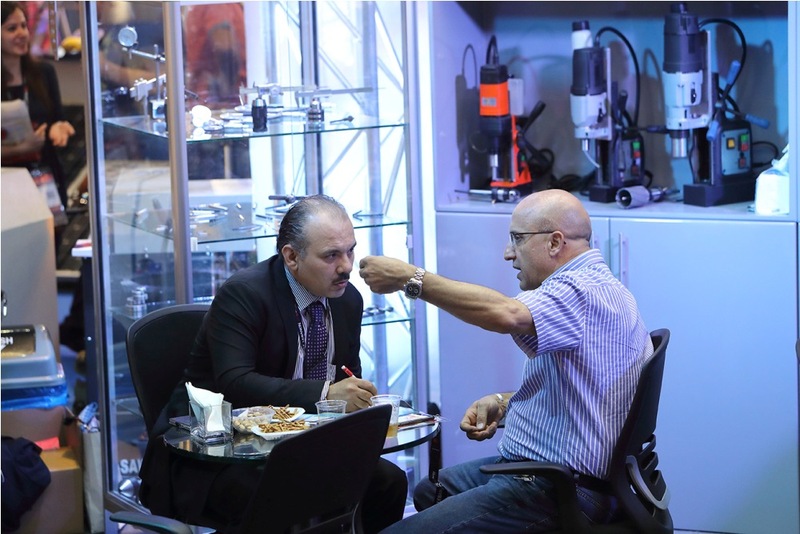 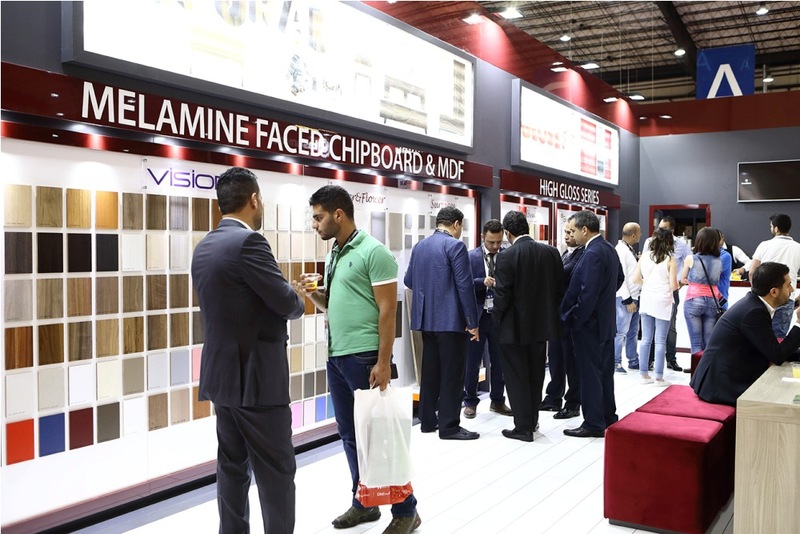 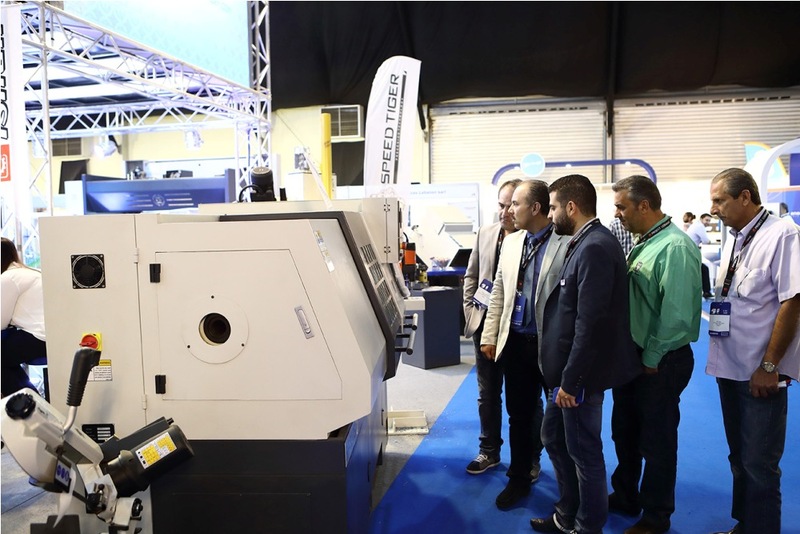 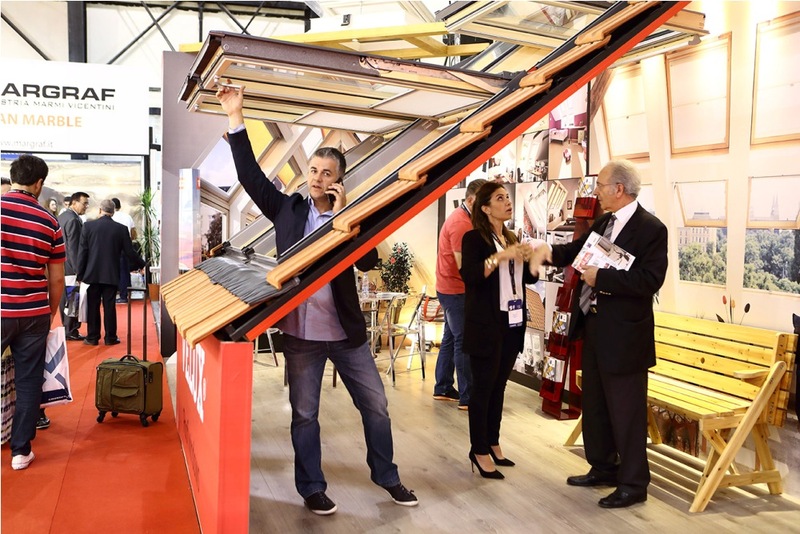 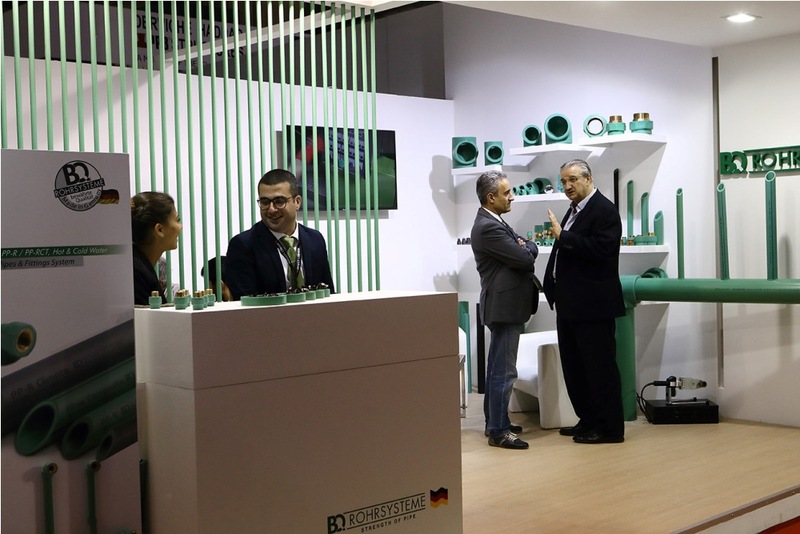 Project Lebanon boasts a balanced combination of exhibiting, networking, matchmaking, and acquiring industry intelligence, thus providing exhibitors and visitors with an optimized high-value experience. 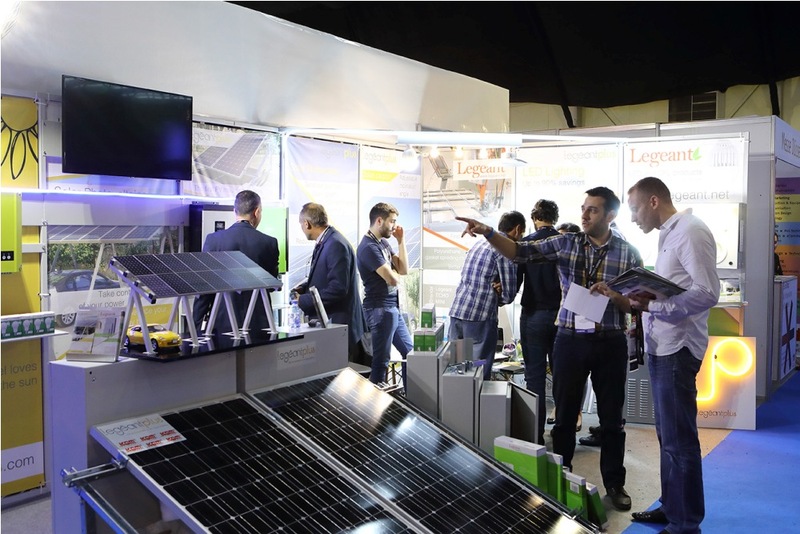 For an all-inclusive coverage of the construction industry, Energy Lebanon, the 8th International Trade Exhibition for Power, Electrical Engineering, Alternative Energy & Lighting, will be held concurrently with Project Lebanon. 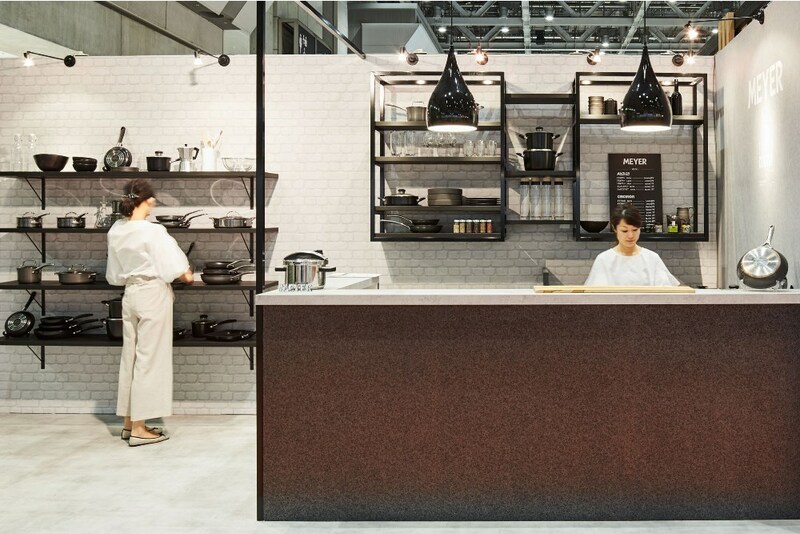 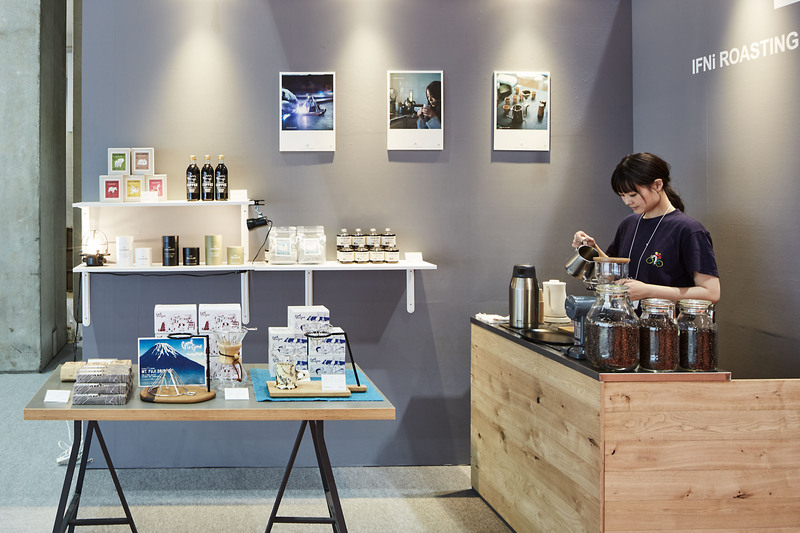 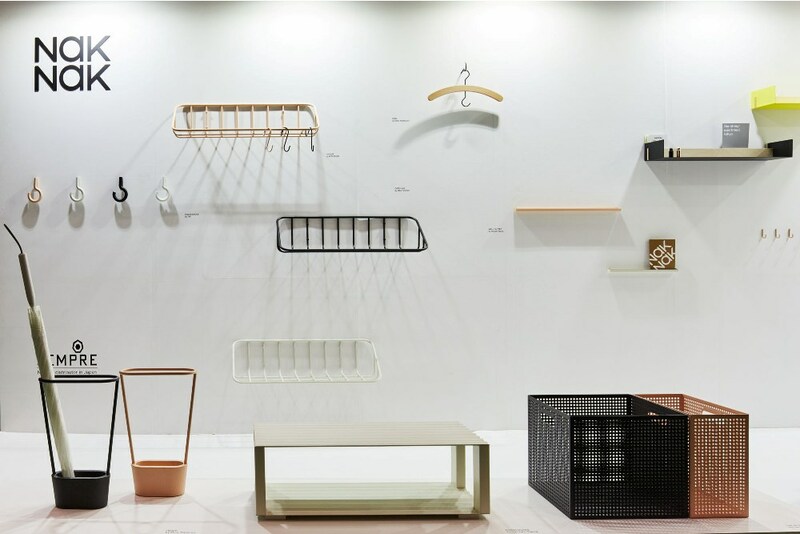 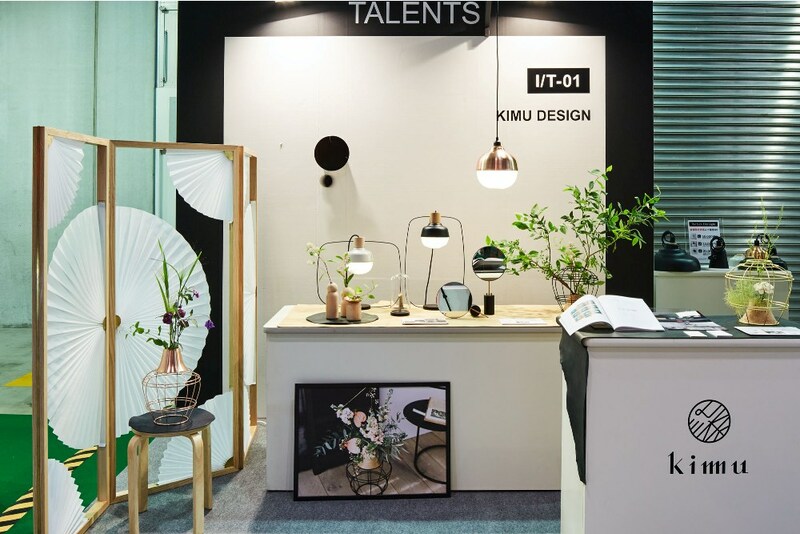 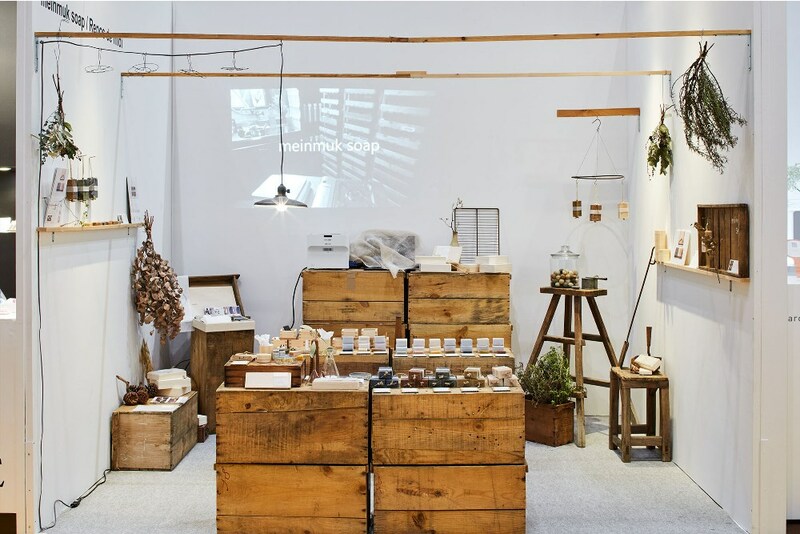 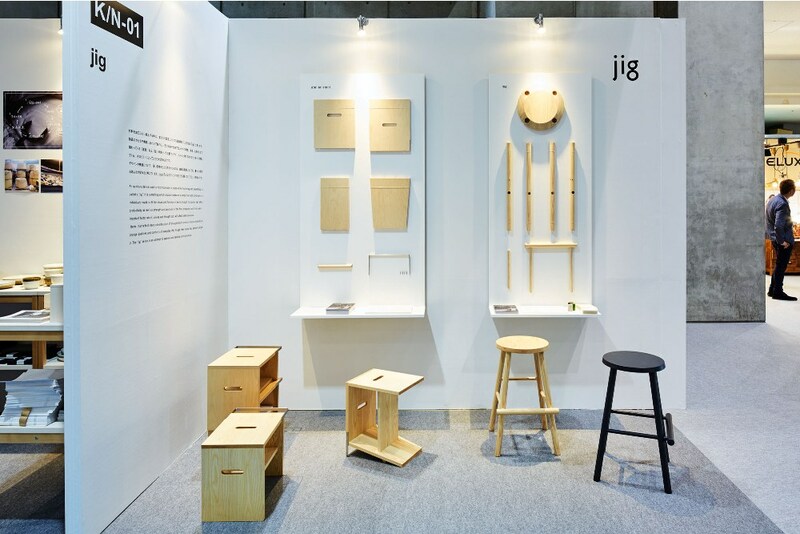 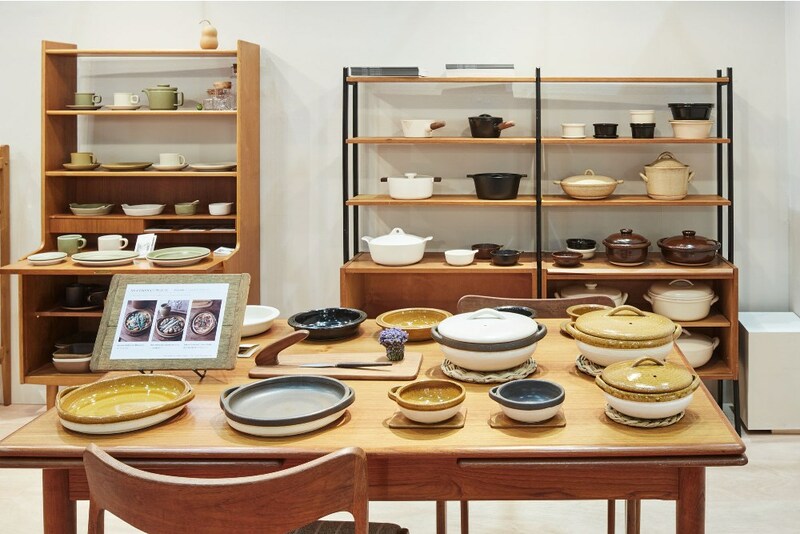 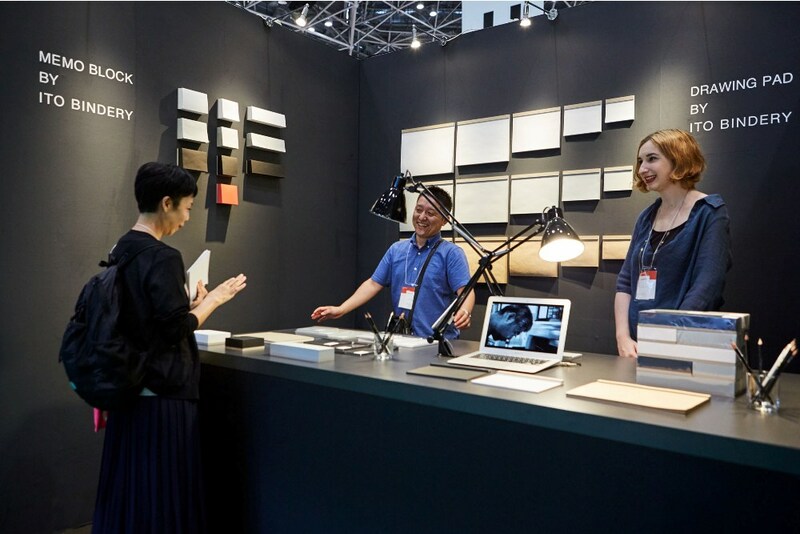 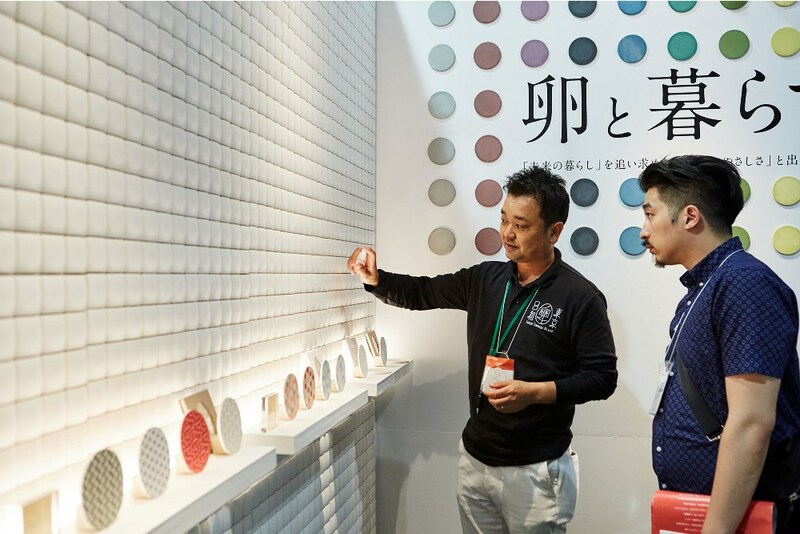 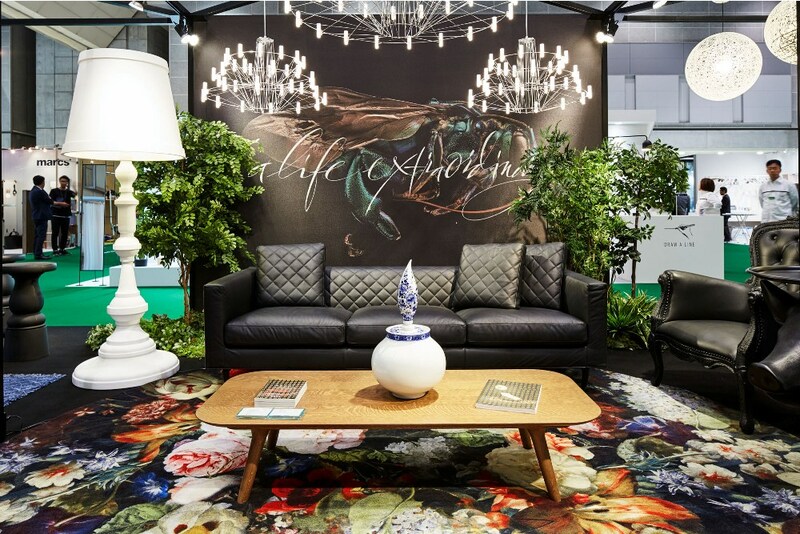 Interior Lifestyle Tokyo 2018 Interior Lifestyle Tokyo is an international trade fair that showcases lifestyle concepts in interior design markets from around the world. 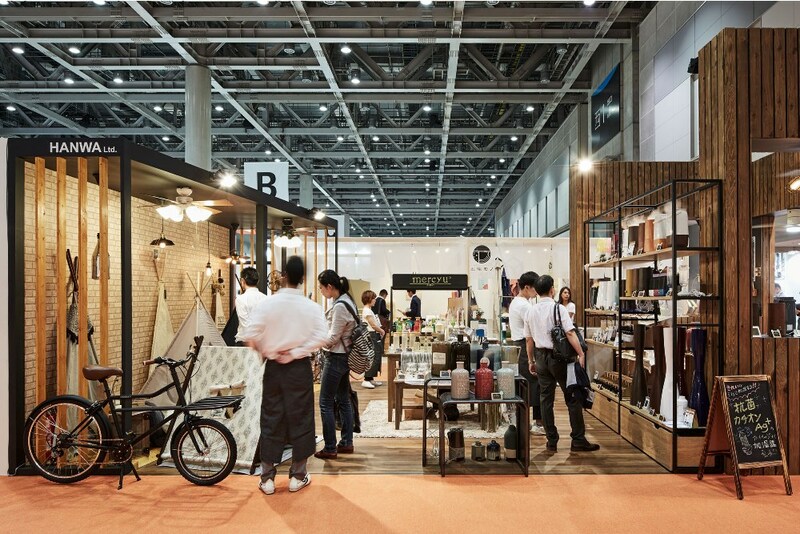 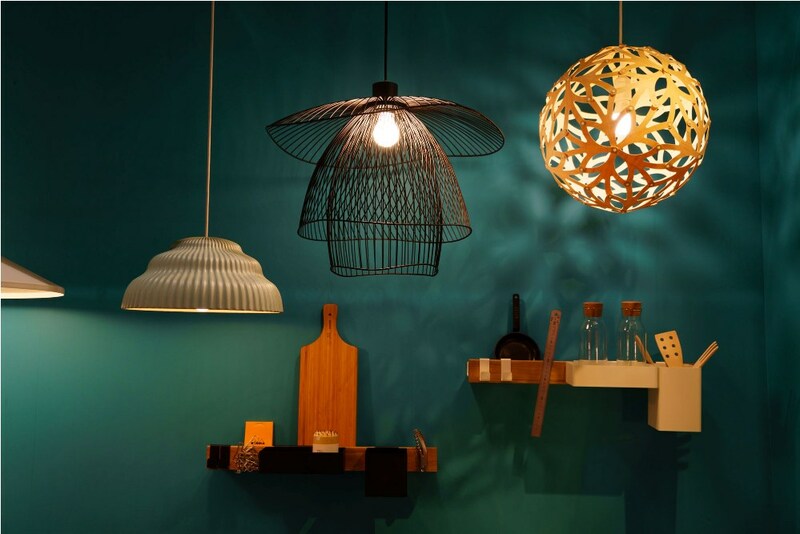 A wide range of buyers including interior shops visit this fair to find a variety of products related to the entire living space, from high-design jewellery and kitchen tools to food and high-end furniture. 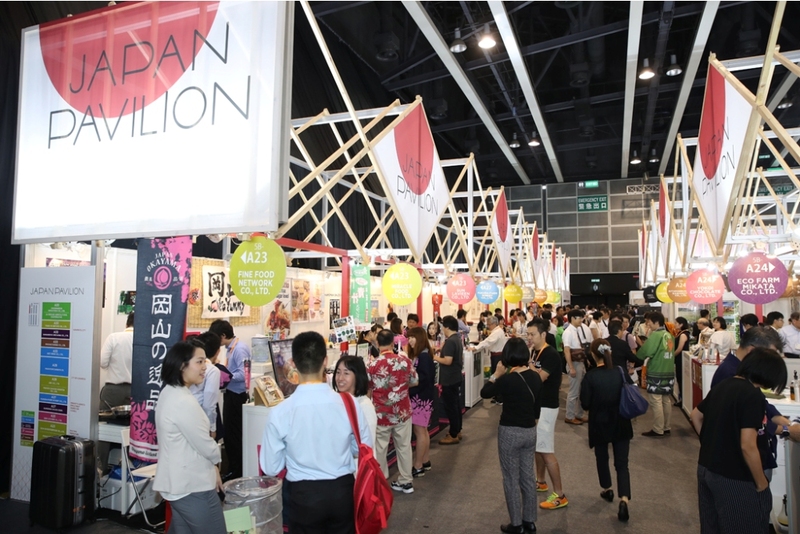 A further advantage of exhibiting at this fair is that many exhibitors and visitors come from around the world. 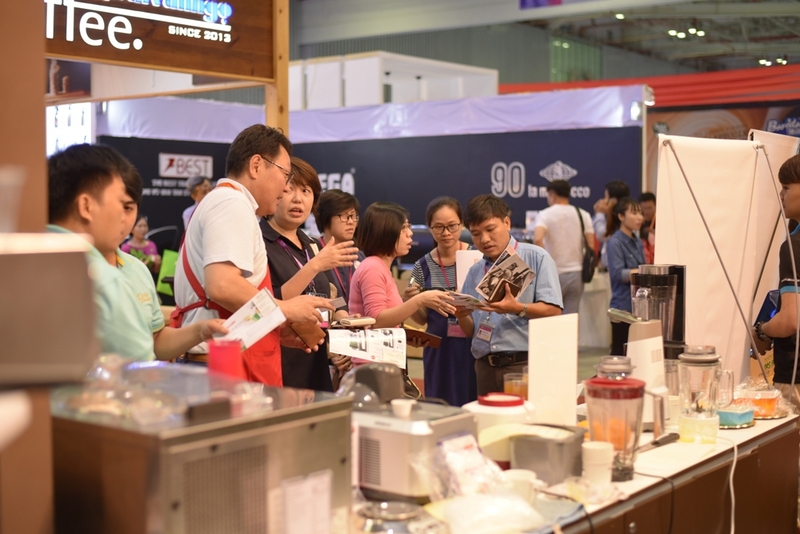 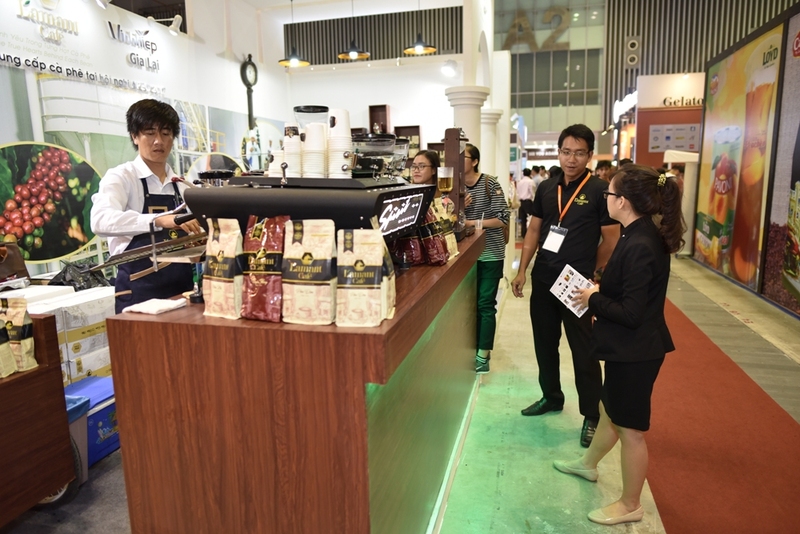 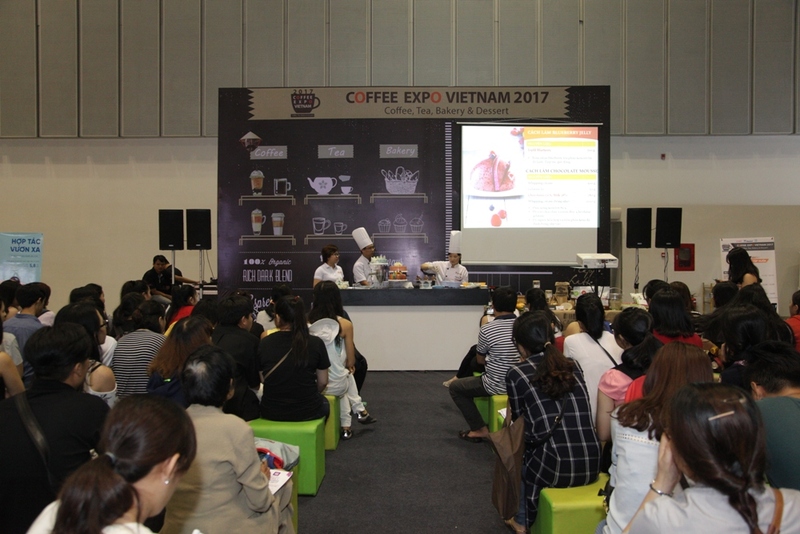 Vietnam Retail & Franchise Show 2018 (VIETRF) is returning with even more to offer in its 10th edition in 2018. 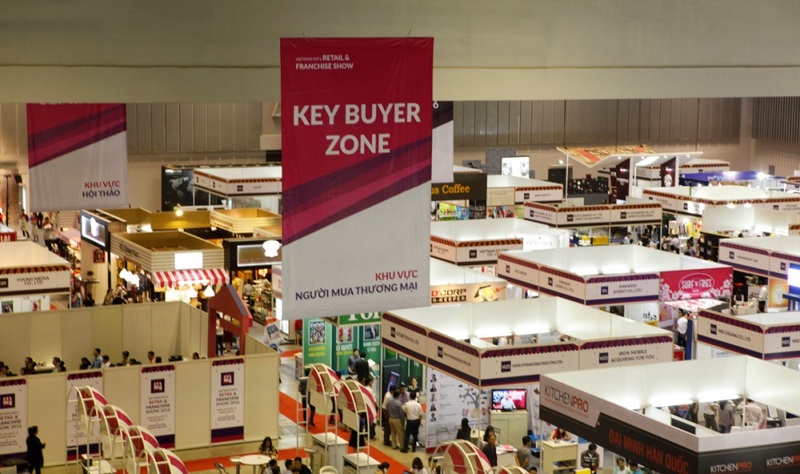 This unique, highly successful trade show is owned by top exhibition company in South Korea, Coex and is the one and only Retail-tech & Franchise trade show in Vietnam. 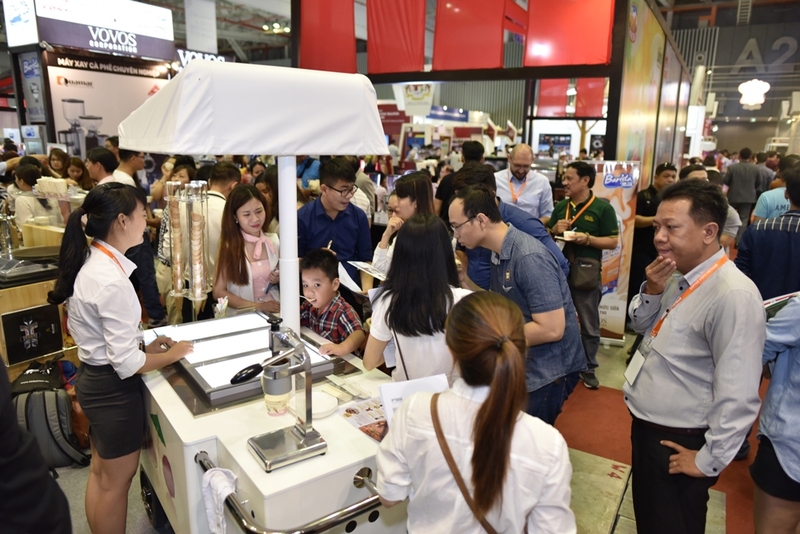 Boasting an impressive group of international exhibitors with their quality products and innovative solutions, VIETRF is widely regarded as an important growth catalyst for retail-tech and franchise businesses for the rising markets of Vietnam and the greater Indochina. 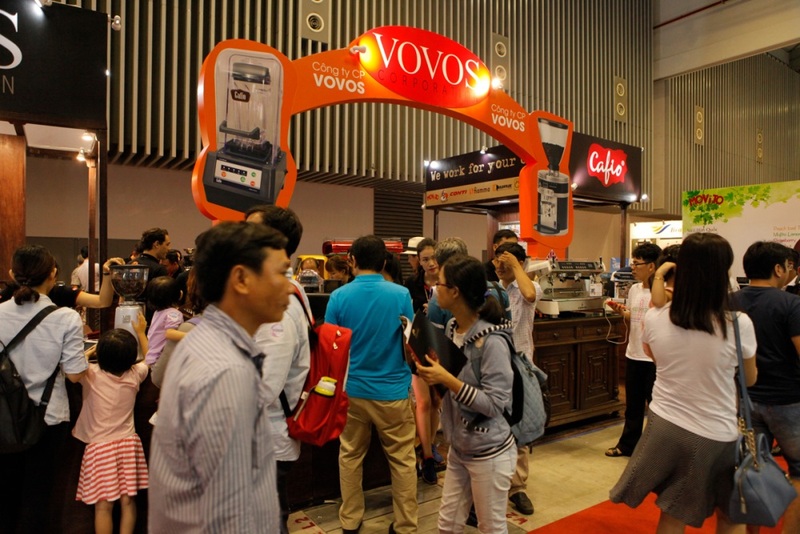 The show will gather a number of world-class competitions, along with networking events. 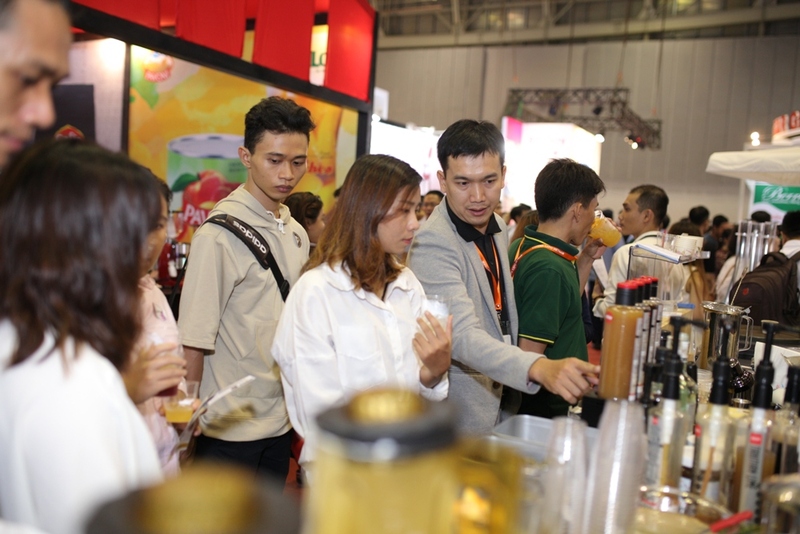 VIETRF 2018 will be the marketplace where international franchisors and sellers have the opportunity to meet master franchisees, franchisees, sub franchisees, distributors, wholesalers, dealers, retailers, buyers, and decision makers from Vietnam and beyond. 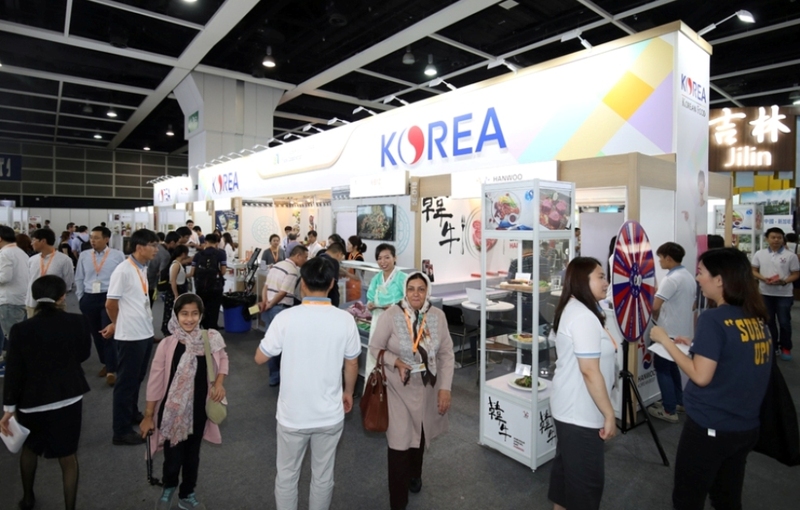 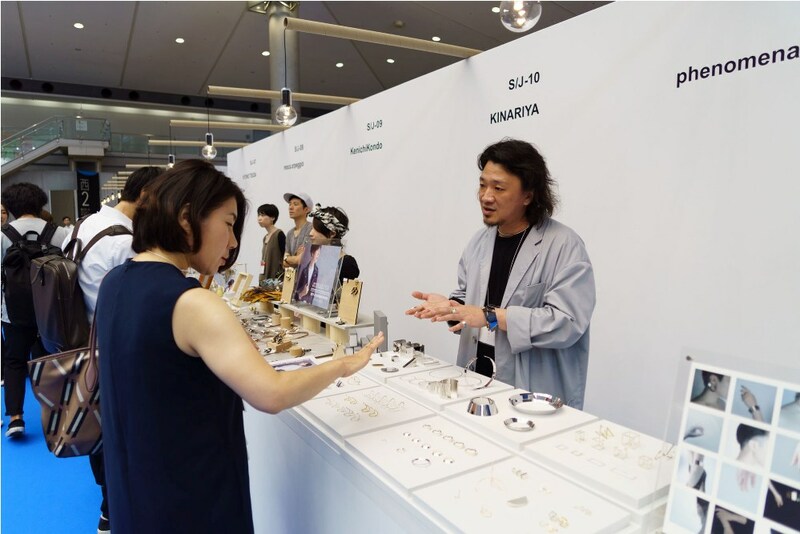 Last year’s show was filled with exhibitors from countries all over the world, including Korea, Vietnam, Singapore, Malaysia, Thailand, and more. 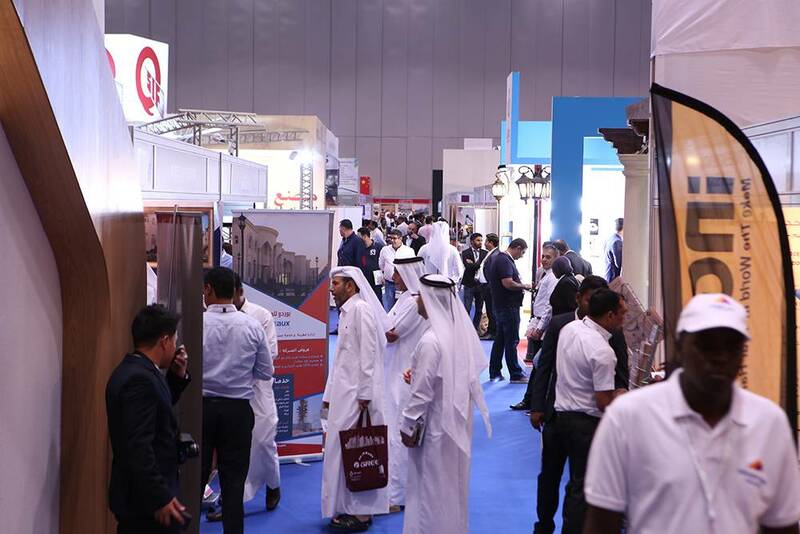 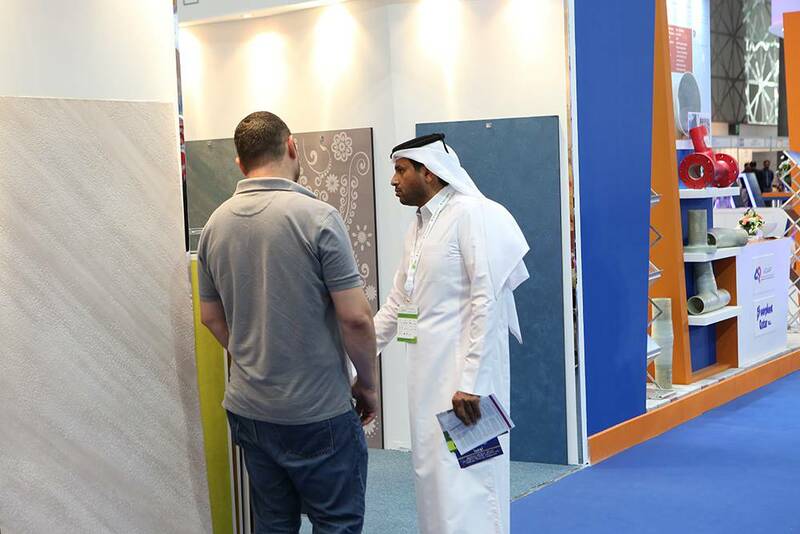 According to last year’s exhibitor survey, 92% of exhibitors indicated that they were satisfied with the exhibition and the results, and 81% of exhibitors indicated that they would participate in the show again. 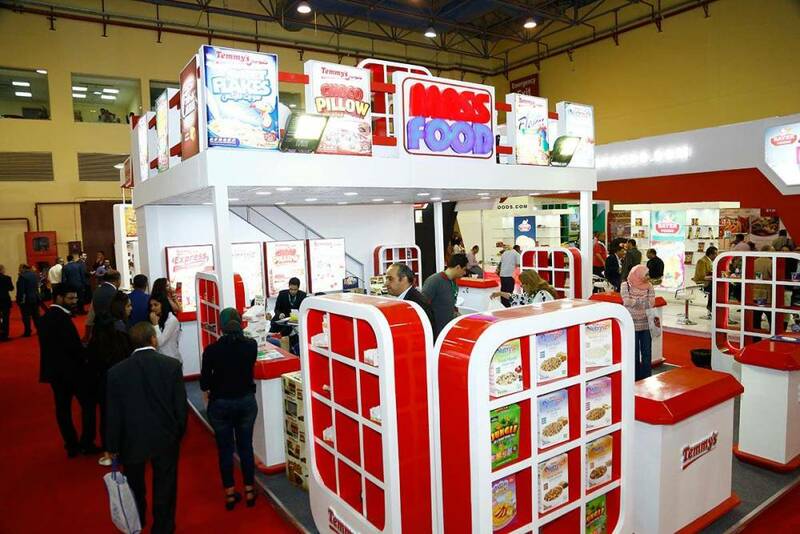 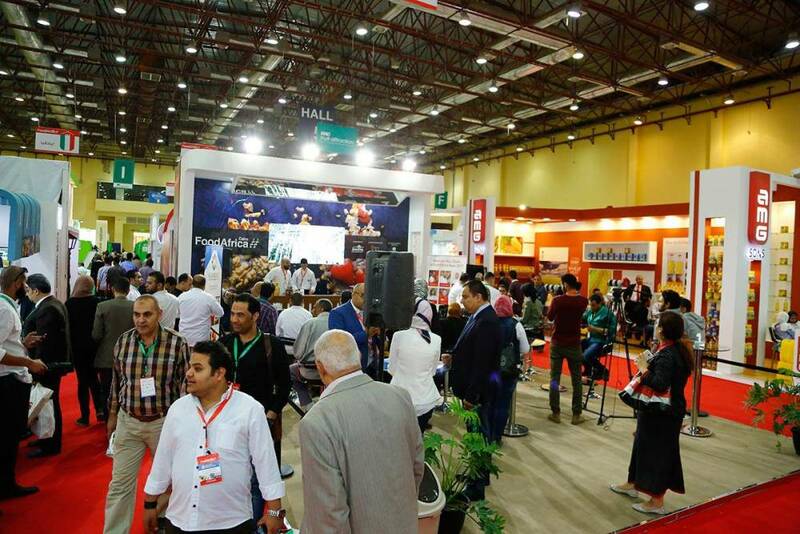 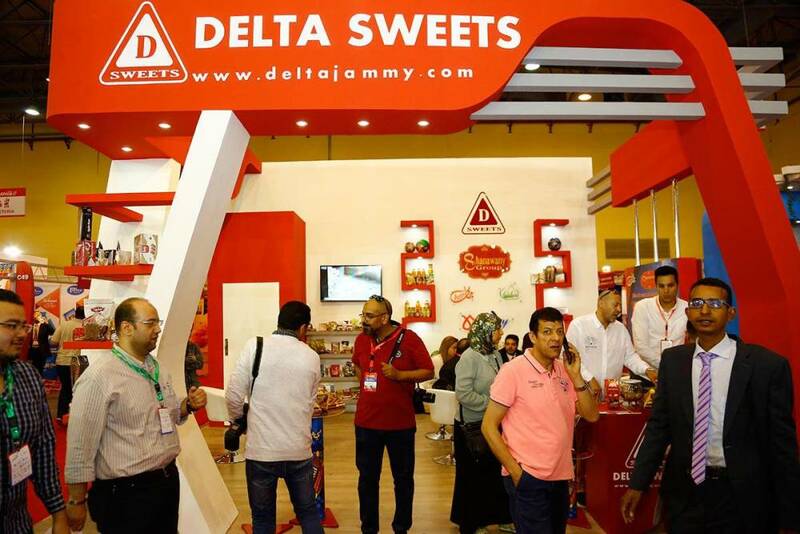 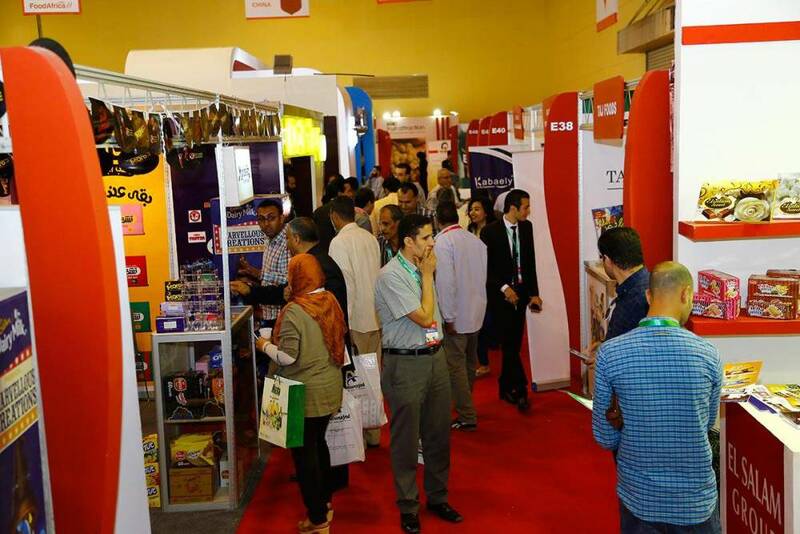 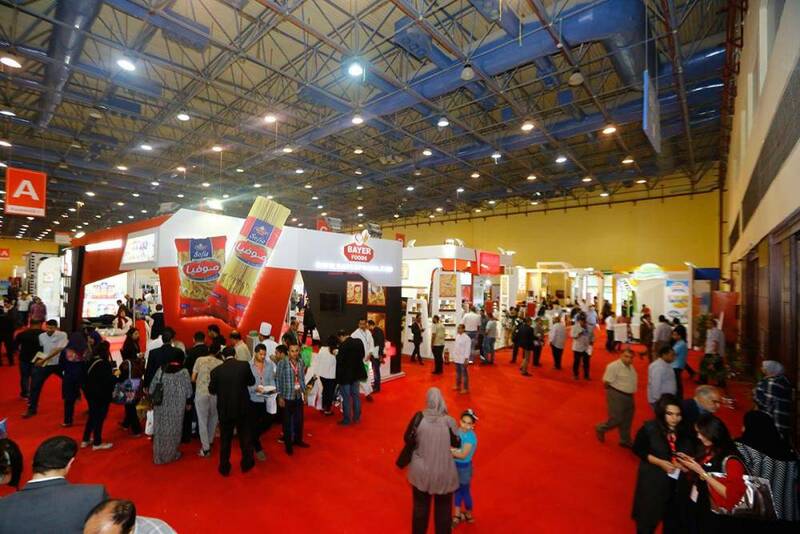 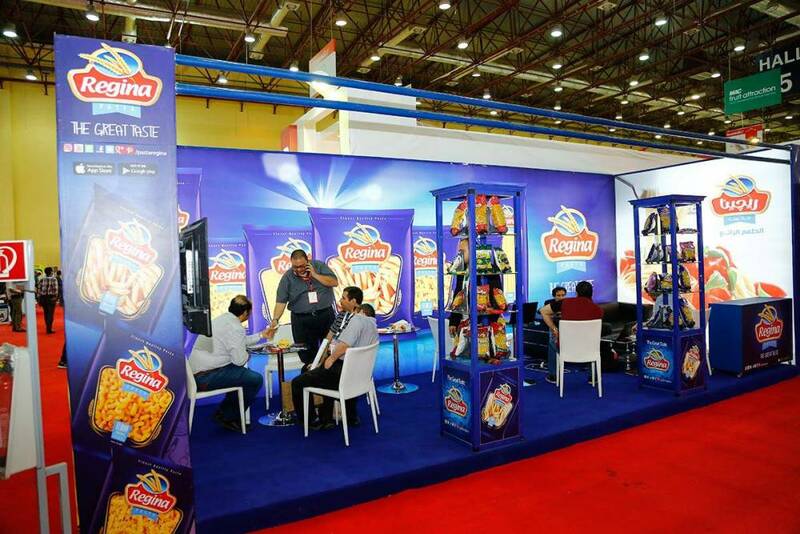 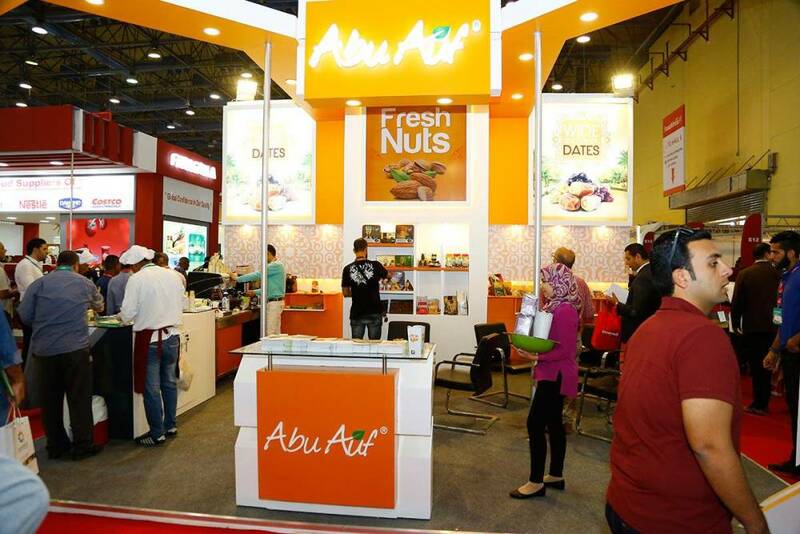 Food Africa – Cairo 2018 Food Africa is the continent’s largest International Trade Exhibition specialized in the Food and Agro industries. 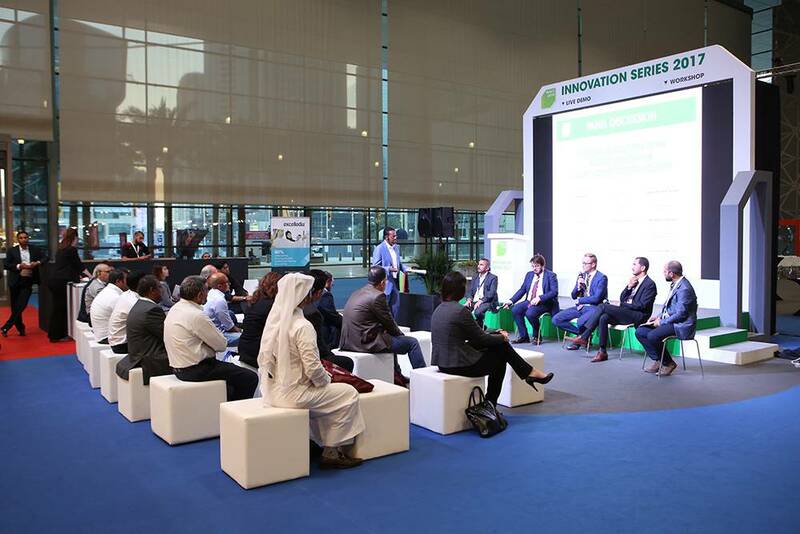 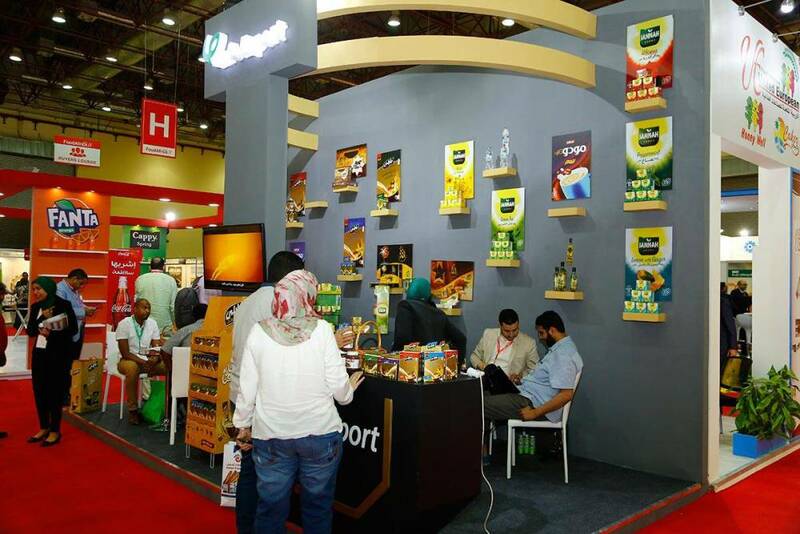 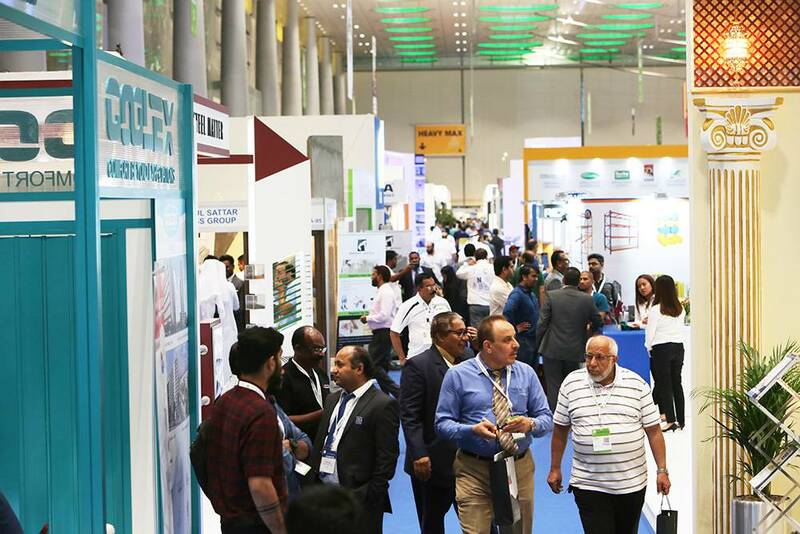 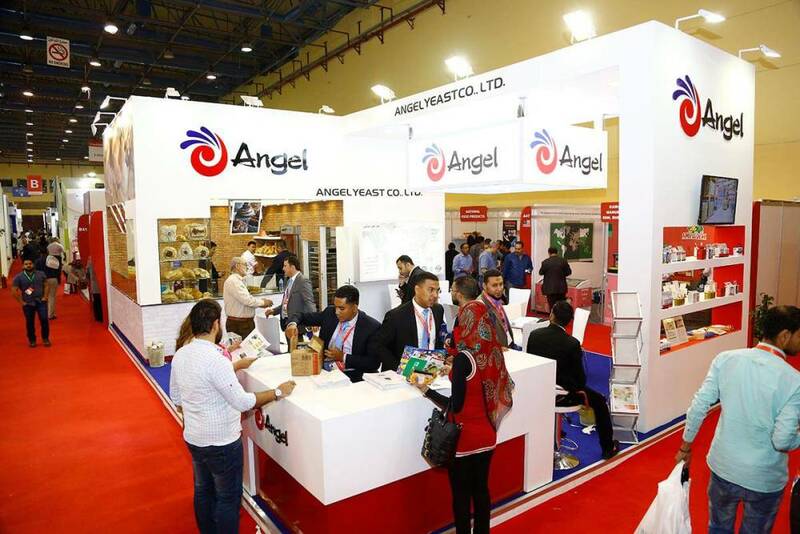 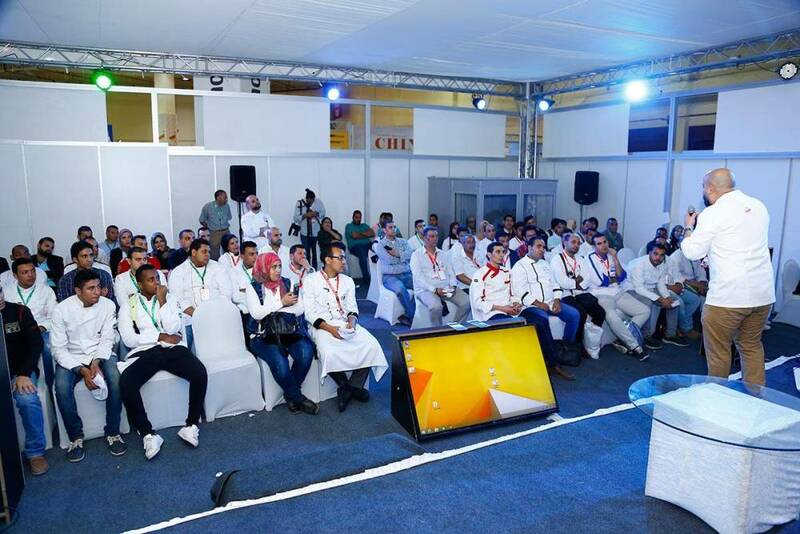 The exhibition, combining an innovative format of showcasing, networking, and matchmaking, is a unique platform to access the Egyptian mega-market, and Africa’s booming agriculture industry. 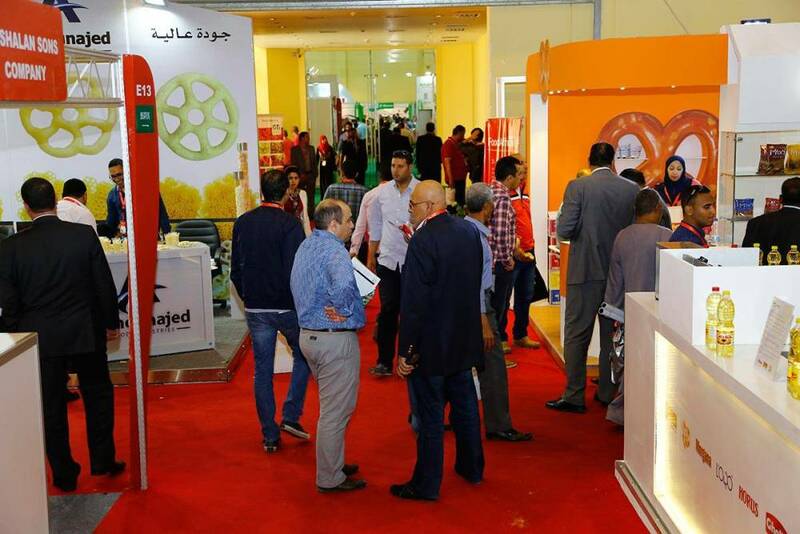 Food Africa is the peerless portal to access major agriculture opportunities in Egypt and Africa. 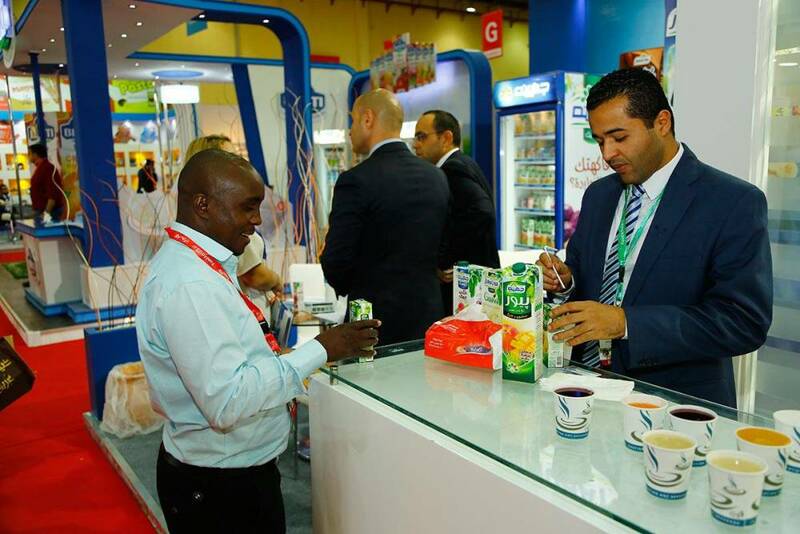 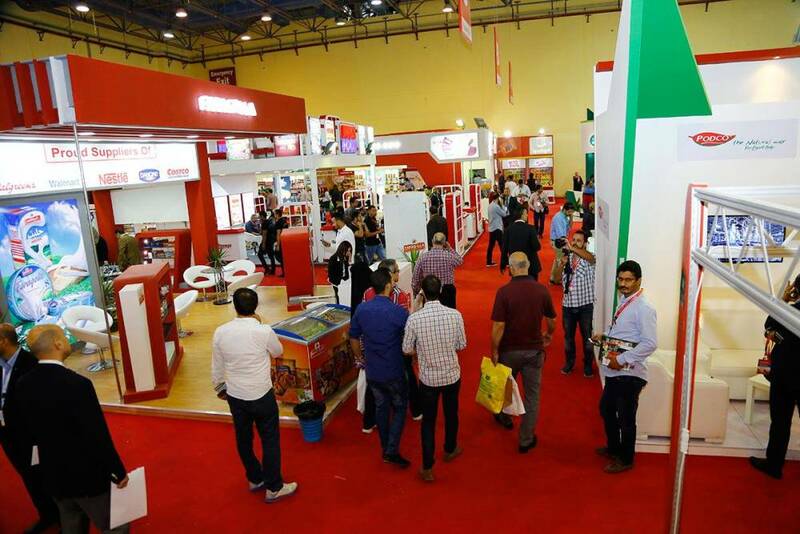 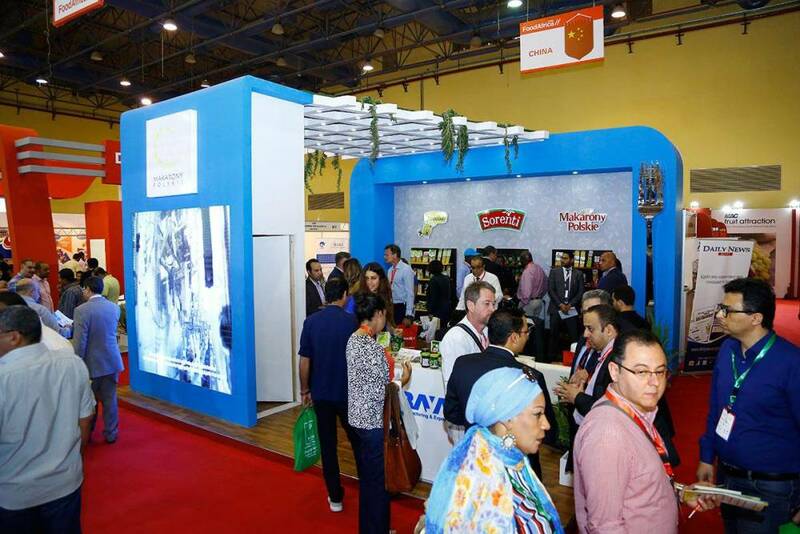 Whether you are looking to meet new buyers or present your new products, exhibiting at Food Africa – Cairo 2018 gives you the opportunity to directly engage with your future customers in their own environment. 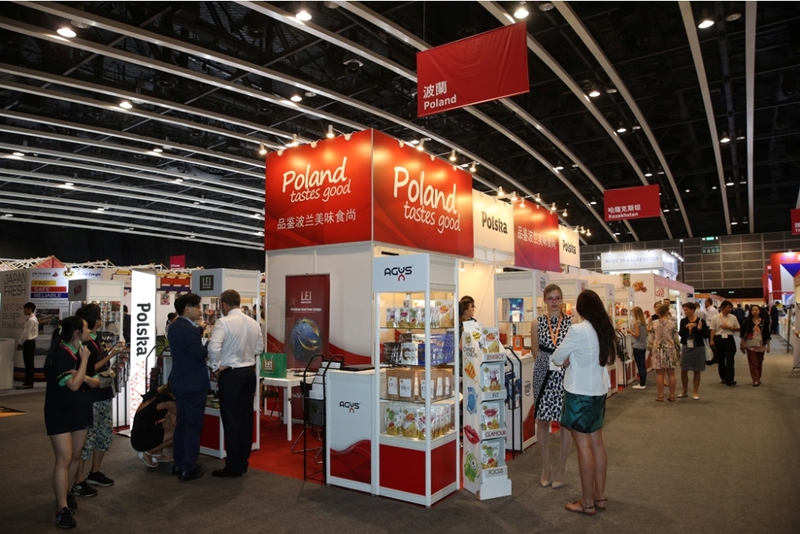 AT THE CENTRE OF GLOBAL SOURCING IN ASIA EVERY OCTOBER. 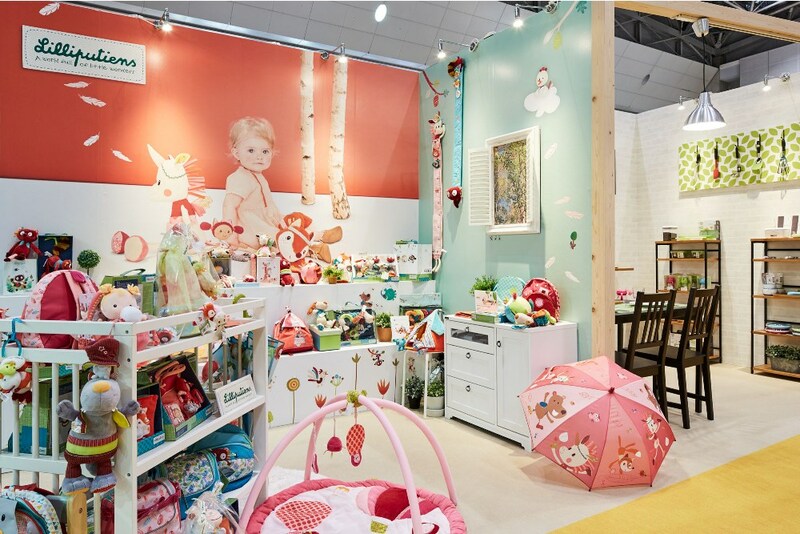 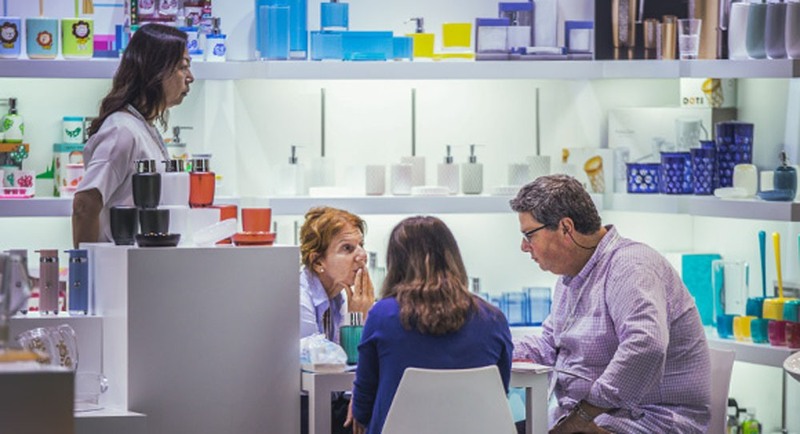 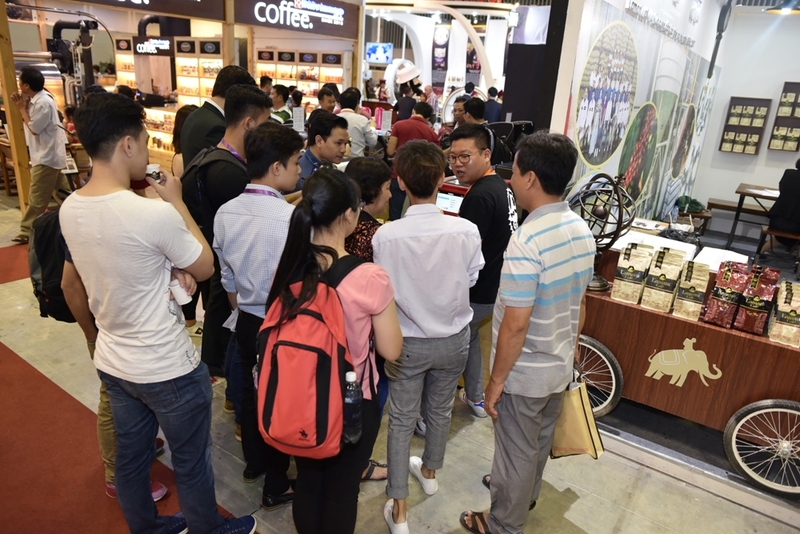 MEGA SHOW Part 1 and 2 are the largest and most important sourcing trade exhibitions every October for gifts, premiums, housewares, kitchen & dining, lifestyle products, toys & games and stationery in the Asia-Pacific region. 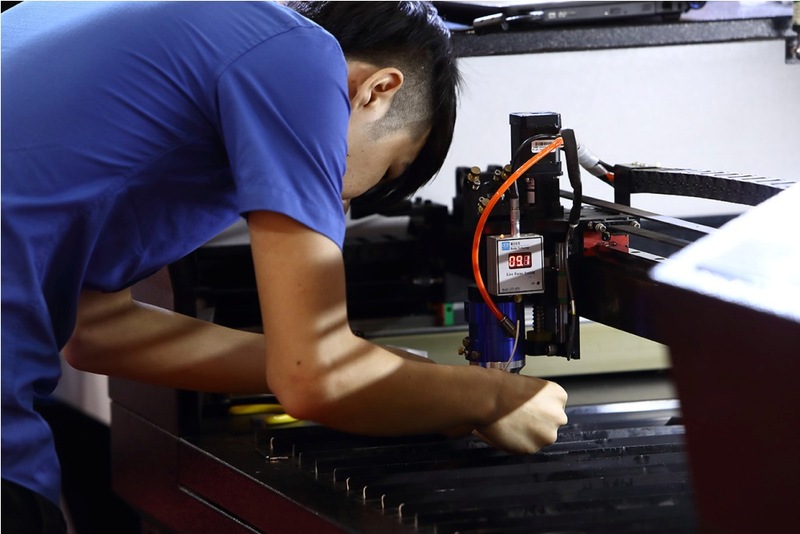 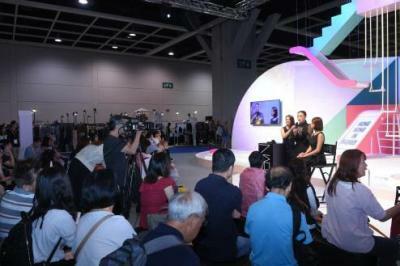 The shows take place over seven open days during the last two weeks of October at the Hong Kong Convention and Exhibition Centre. 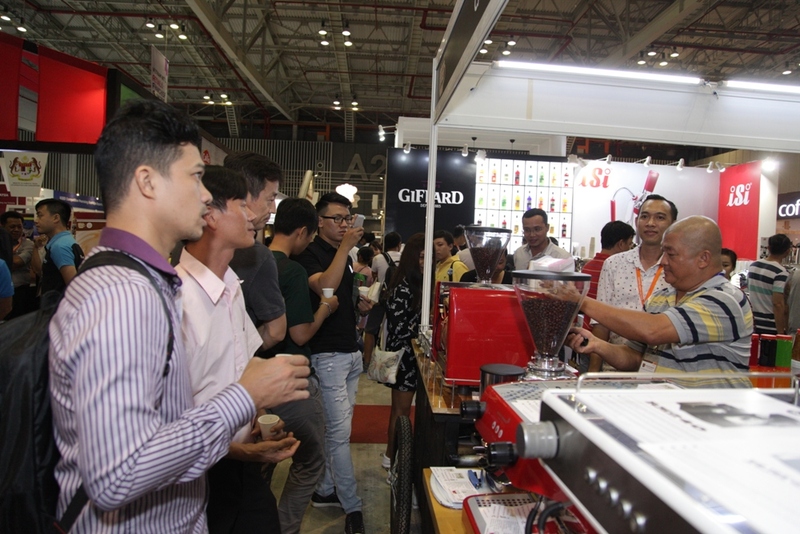 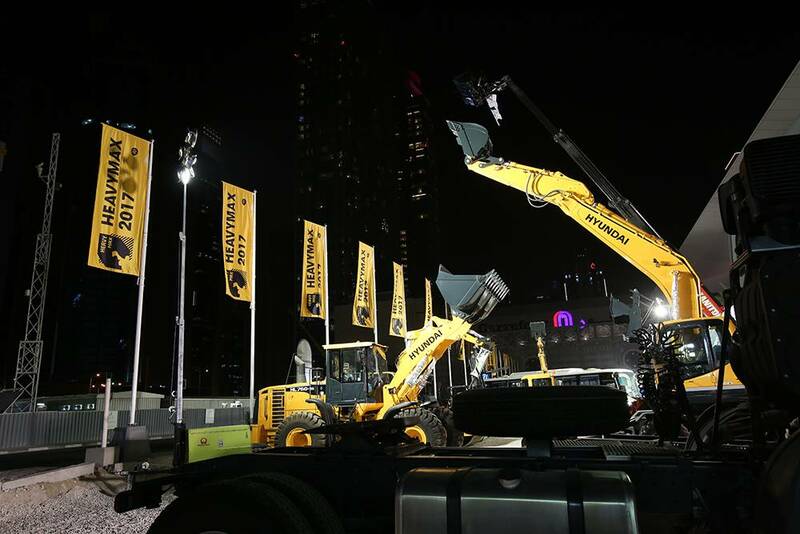 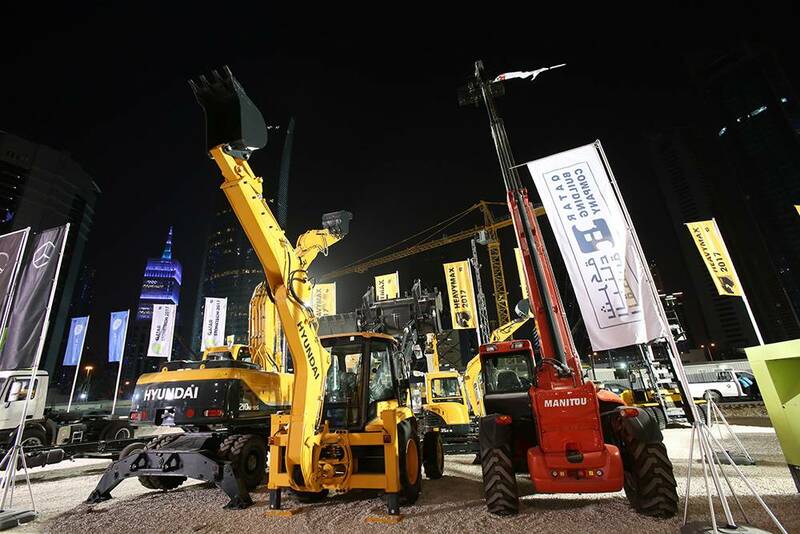 The dates of MEGA SHOW Series are a regular fixture of the autumn Southern China sourcing circuit for global buyers. 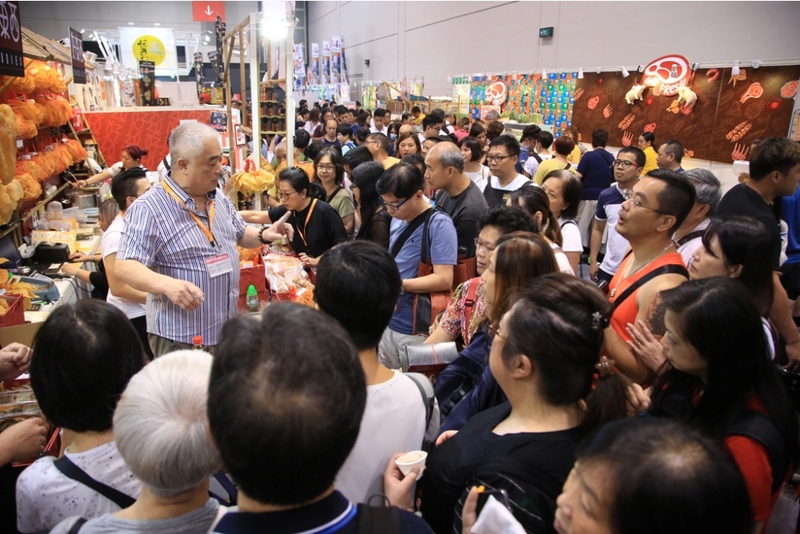 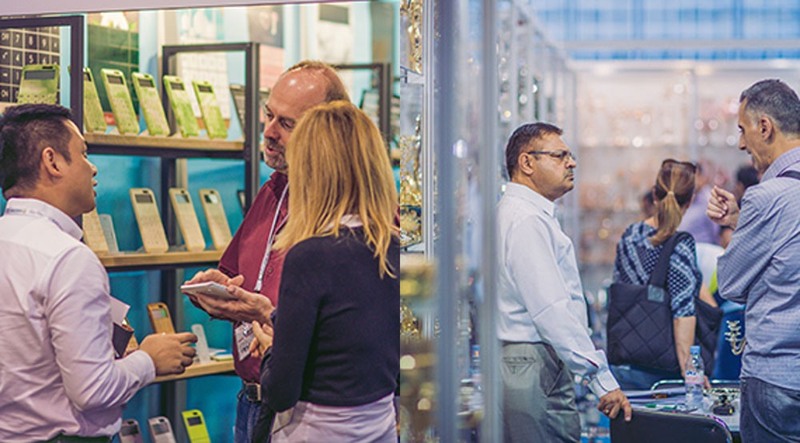 Over 40,000 international import and export houses, wholesalers, distributors, agents, mail order companies and retailers from some 130 countries and regions attended the show over the seven show days in 2017. 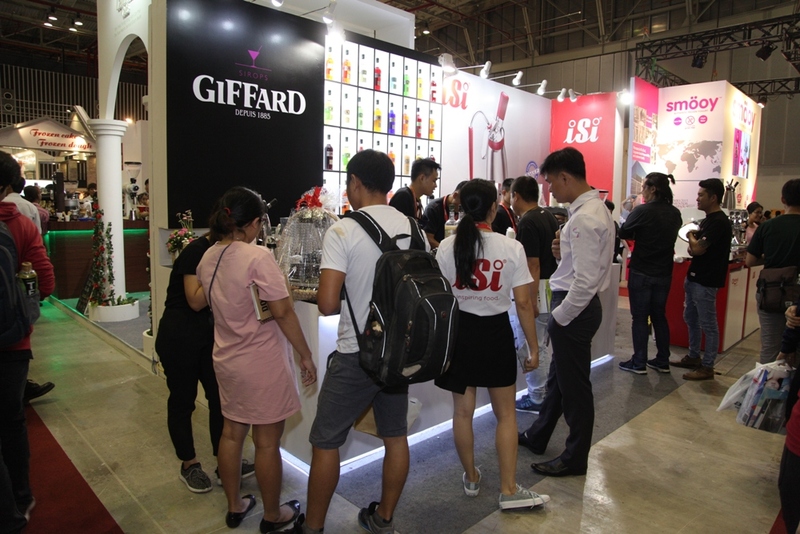 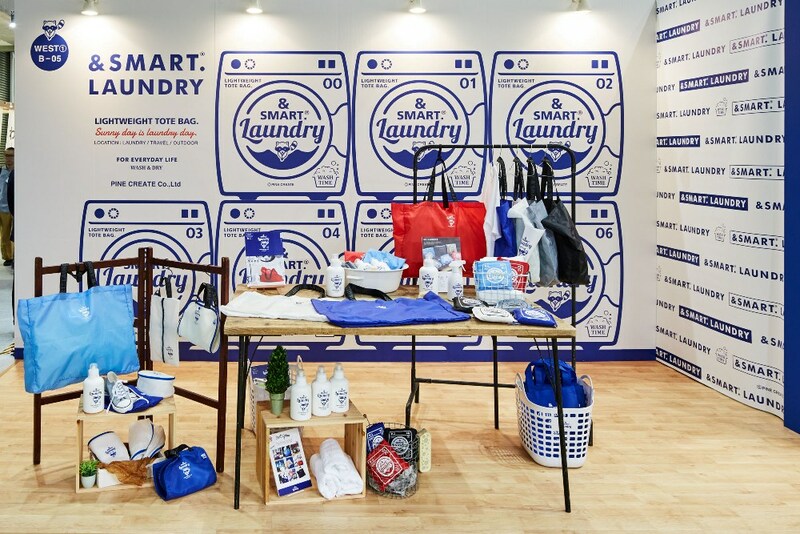 The refined format of clear product segmentation into separate merchandise categories, each located in a specific venue location, along with the new branding as MEGA SHOW Series allows buyers to easily locate their preferred merchandise sectors and spend more time in each of MEGA SHOW Series with exhibitors of interest. 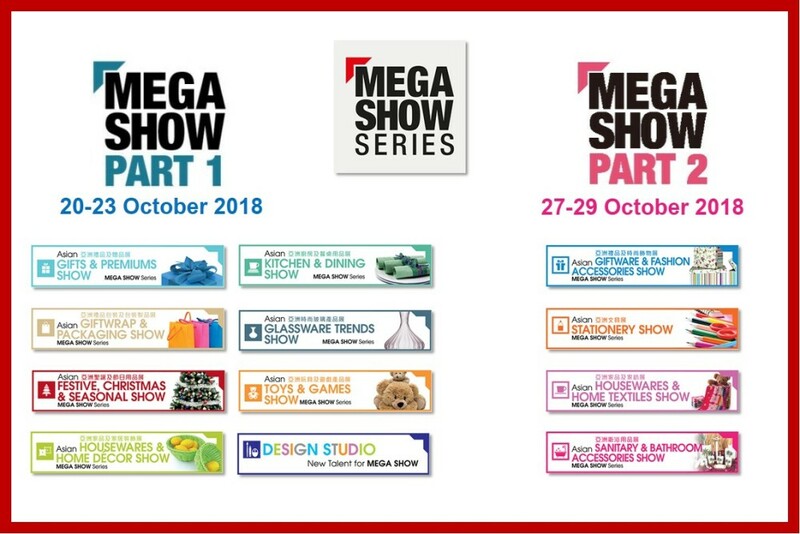 MEGA SHOW Series Part 1 (20-23 October, 2018) will continue to present NINE merchandise categories and MEGA SHOW Series Part 2 (27-29 October, 2018) will feature FOUR merchandise categories – all clearly defined and color-coded for easy reference. 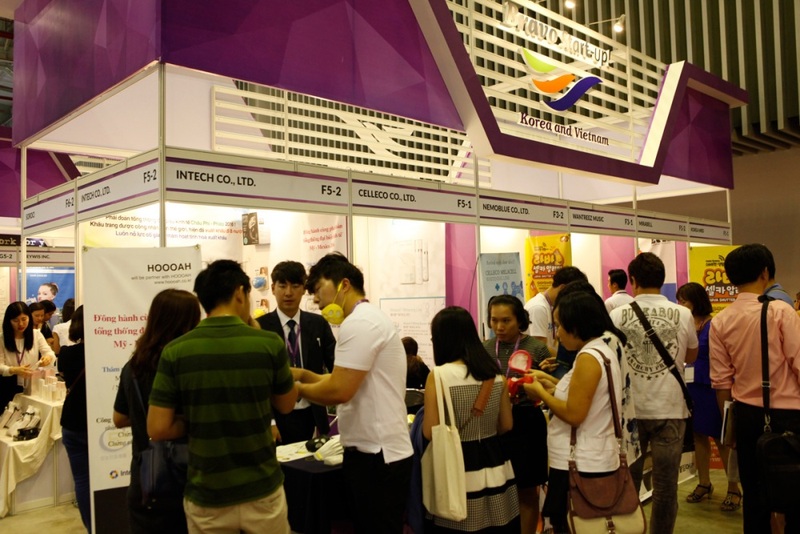 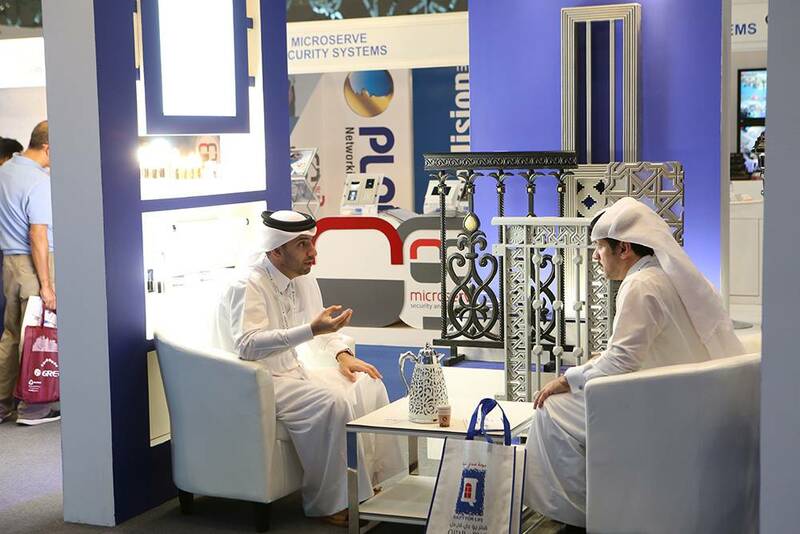 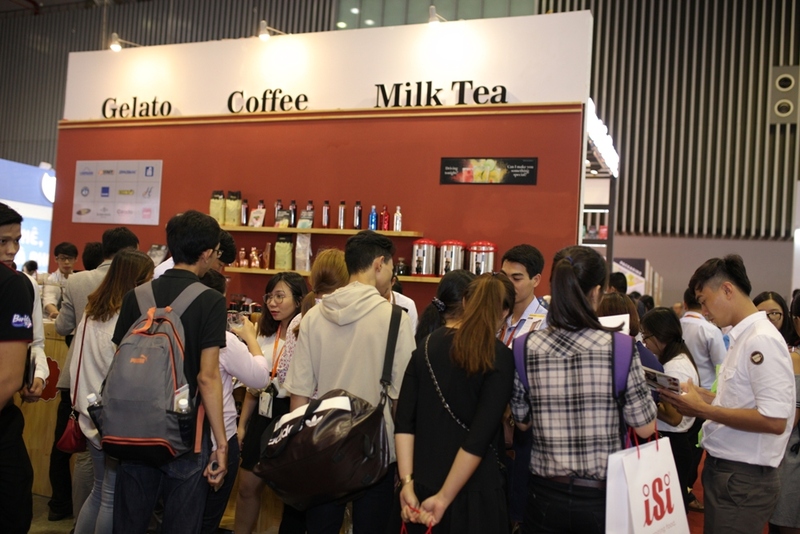 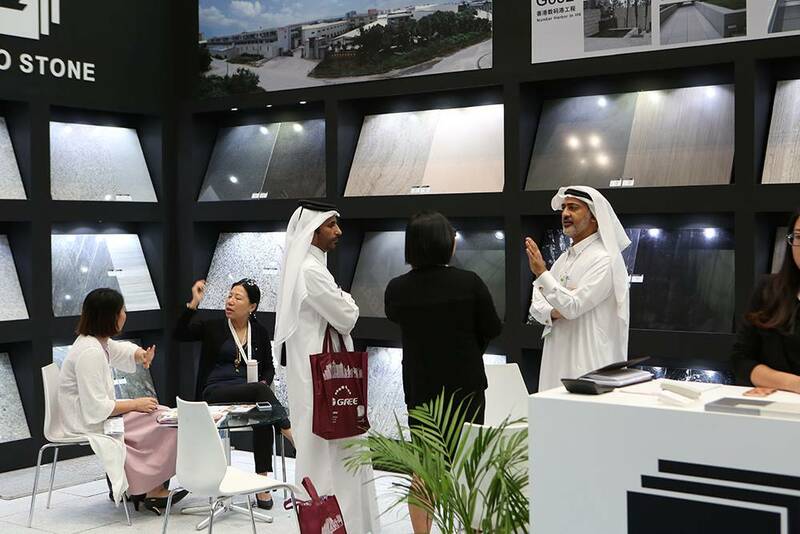 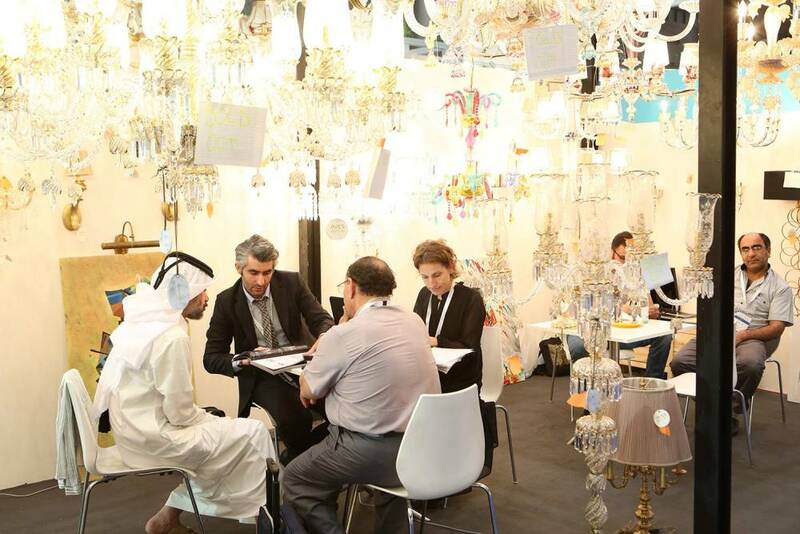 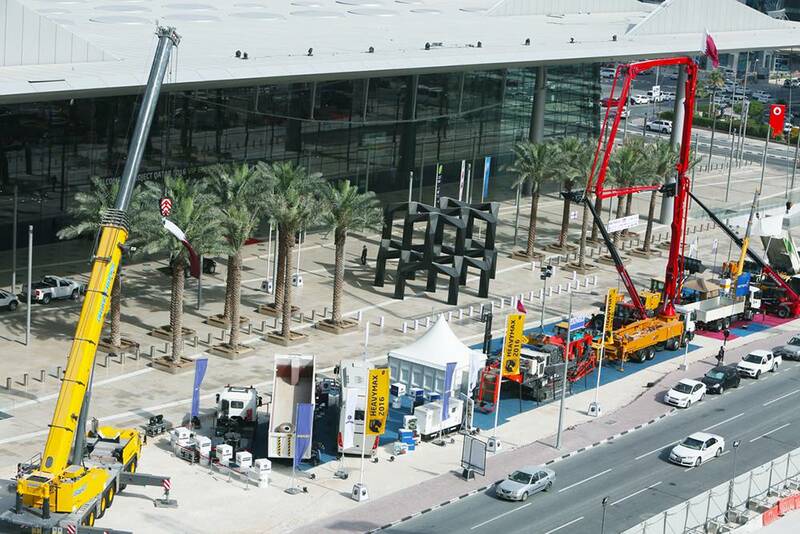 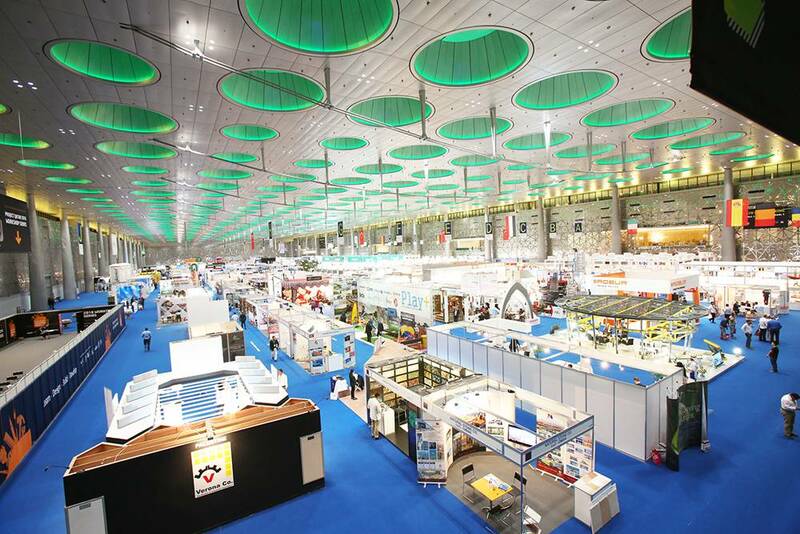 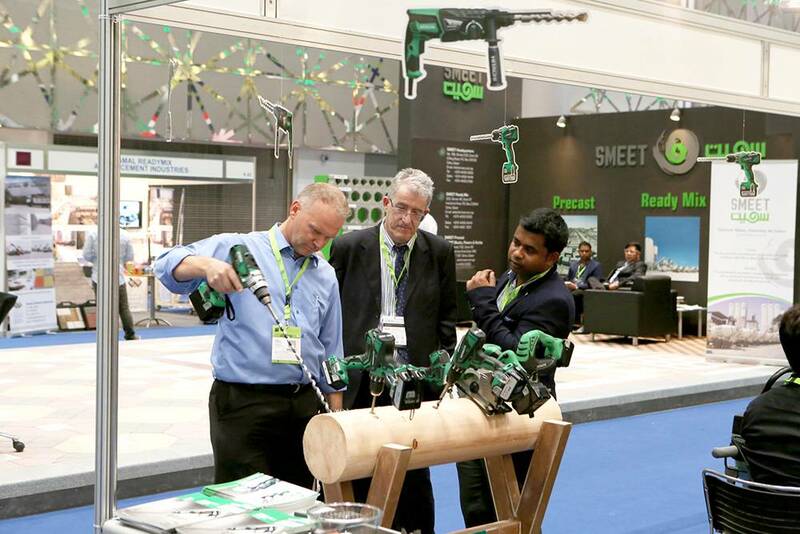 MEGA SHOW Part 1 is entering its 27th year and offers products from 3,600+ Asian and internationally-based exhibitors. 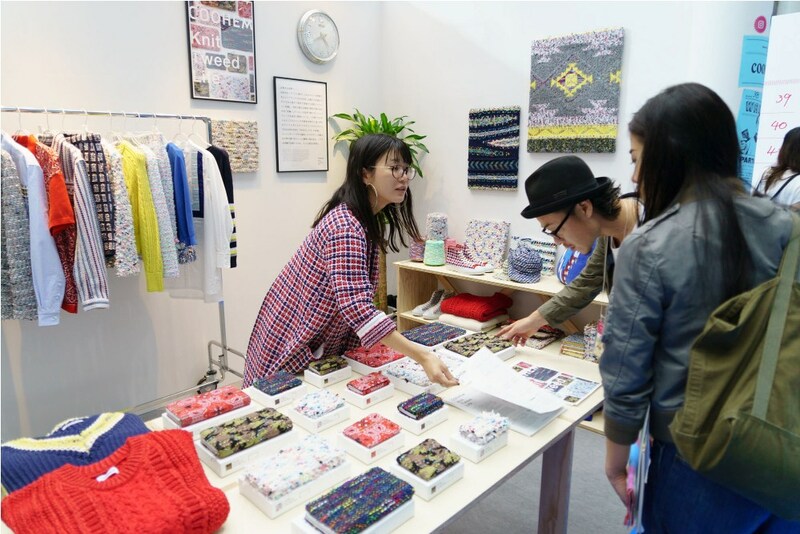 The diverse and directional merchandise on show is grouped into the following nine merchandise categories. 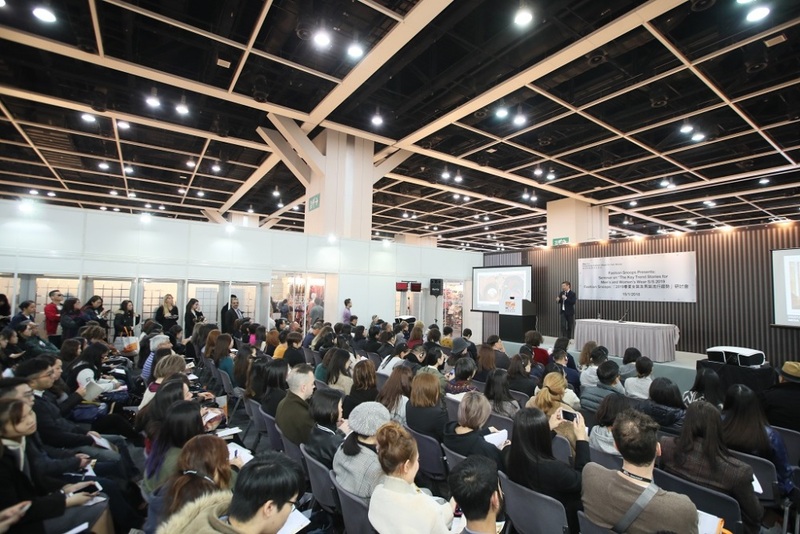 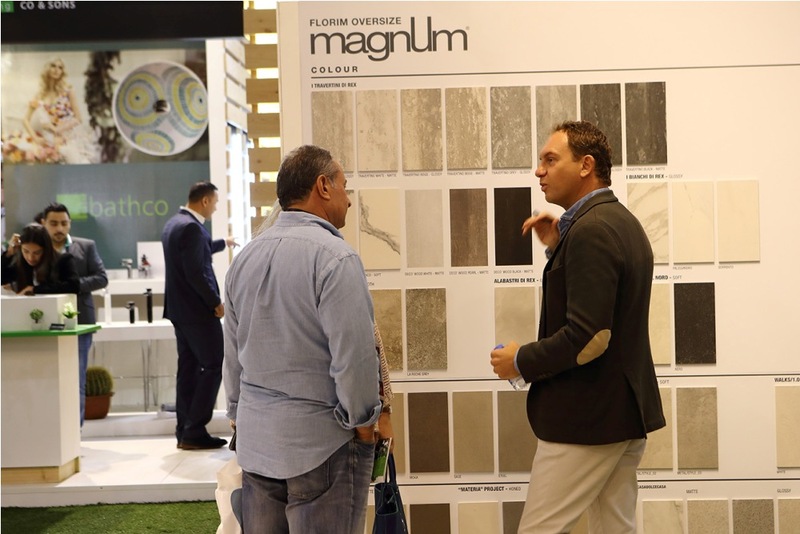 MEGA SHOW Part 2 is now in its 16th year offering the final sourcing opportunity in Hong Kong every October with a further 500 exhibitors. 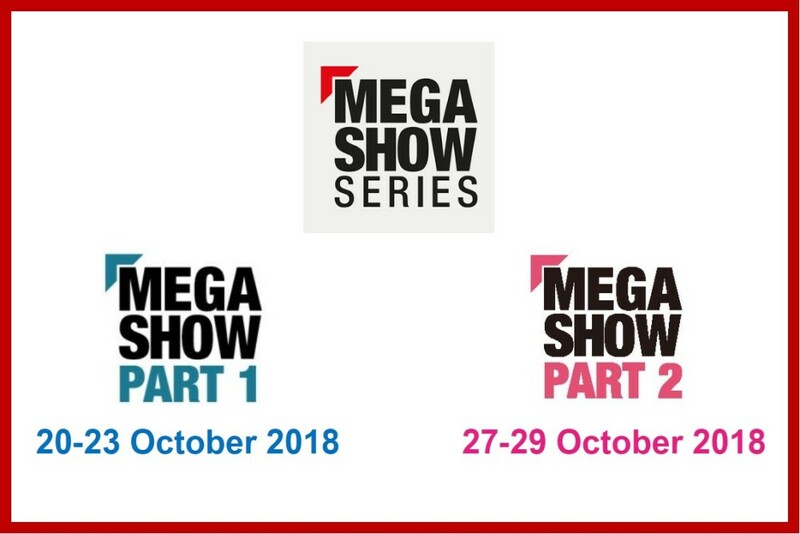 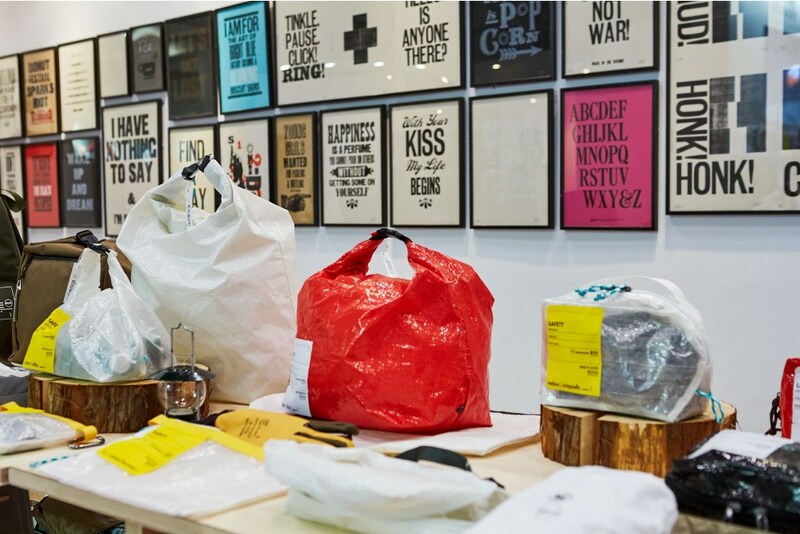 FOUR merchandise categories are on show in this well-edited and compact edition of MEGA SHOW.